Andy Reid in the Scarab me in the Tojeiro great fun it was. 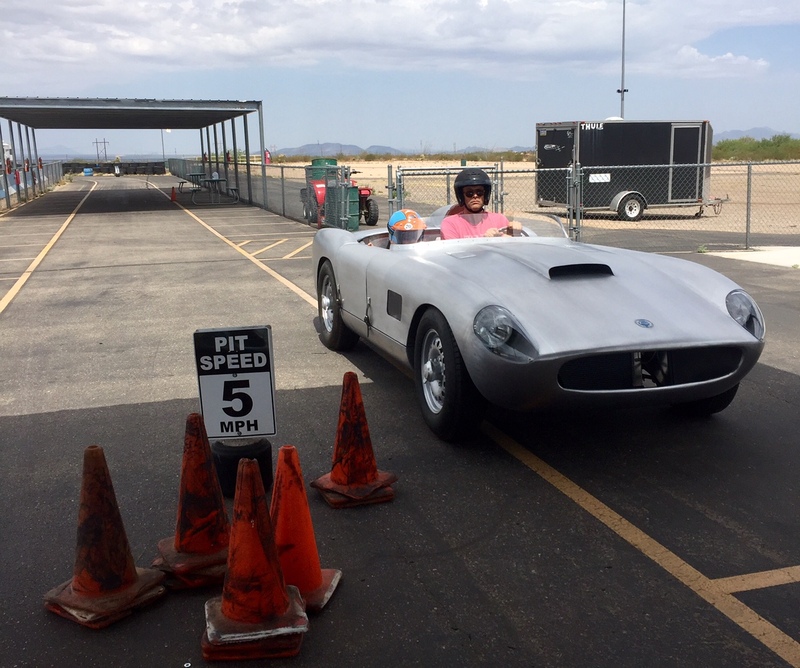 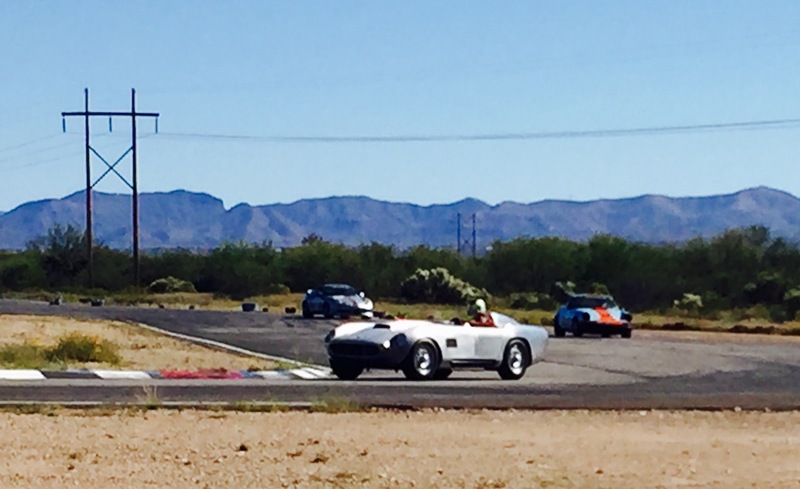 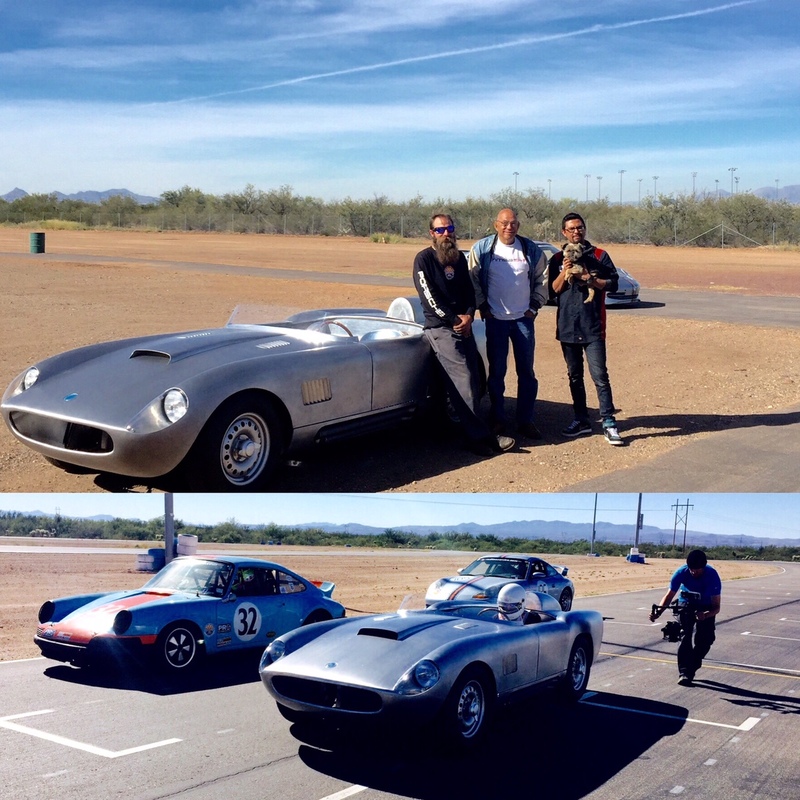 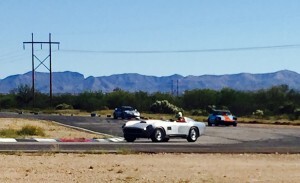 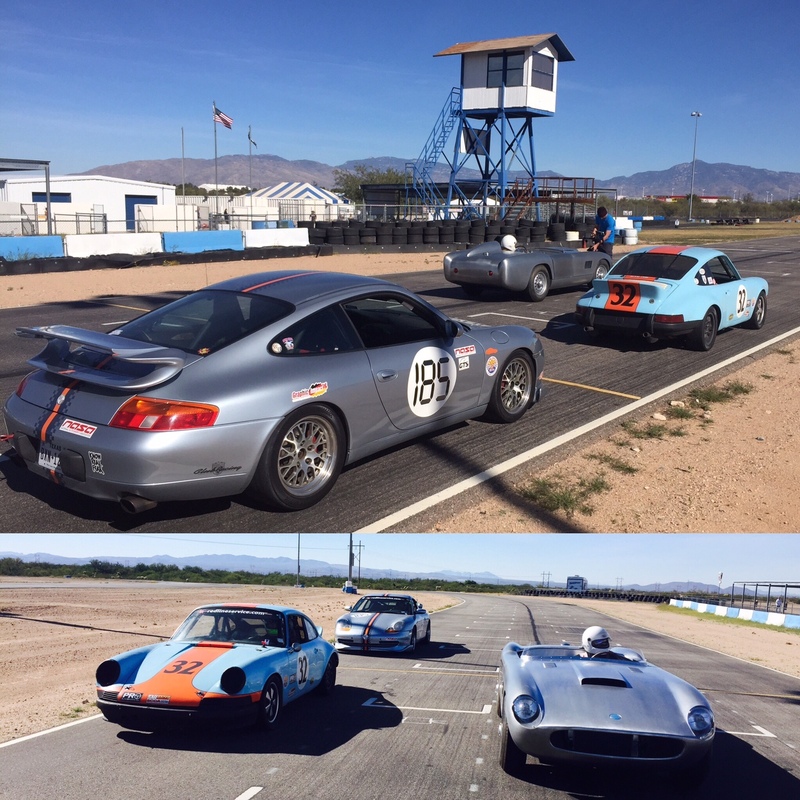 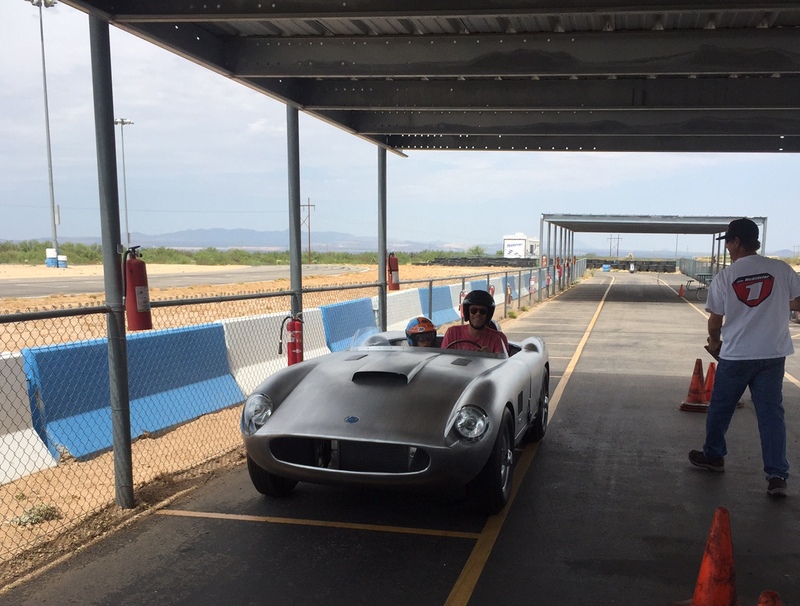 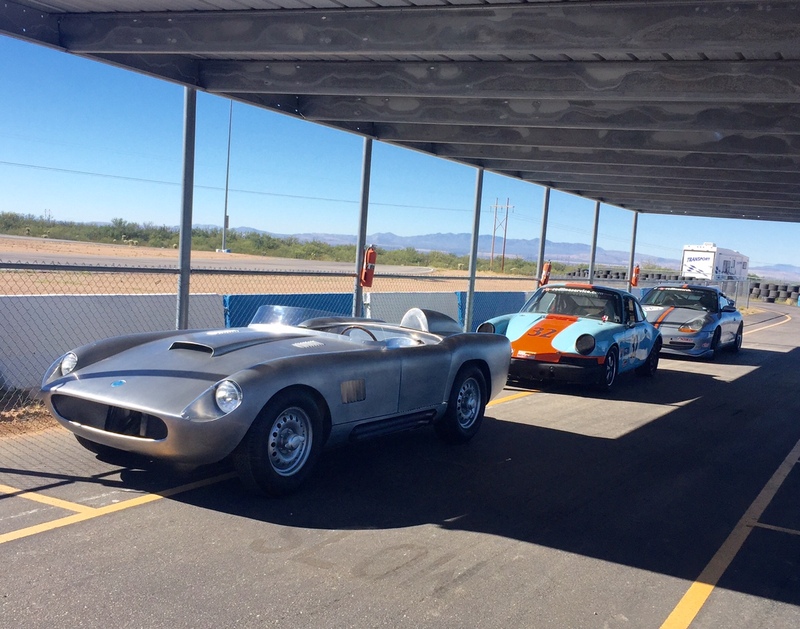 First time driving is at Musclemann’s race track. 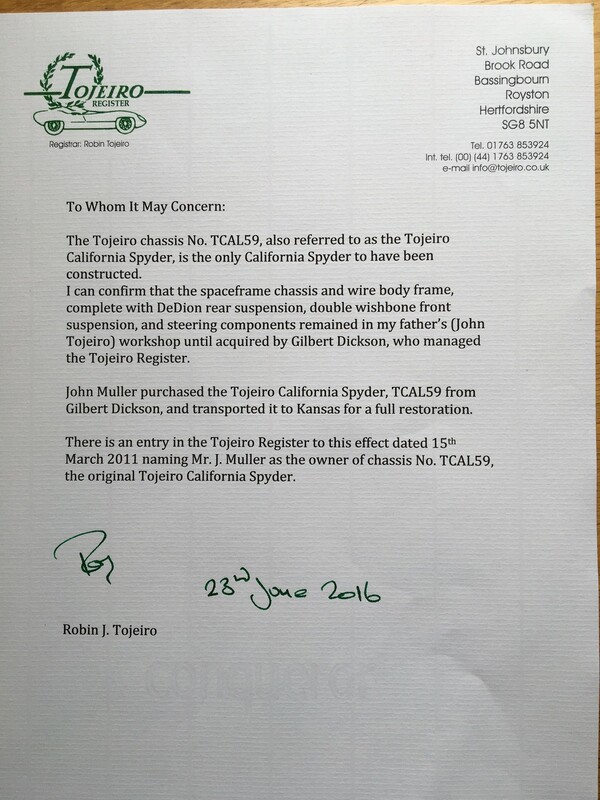 Tojiero California Handled better then both the 911 cars. 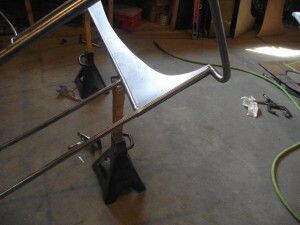 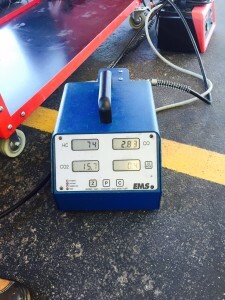 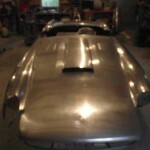 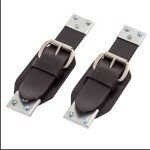 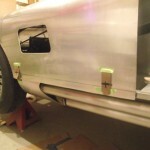 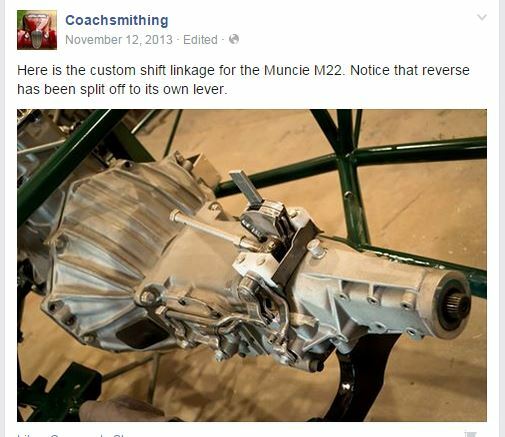 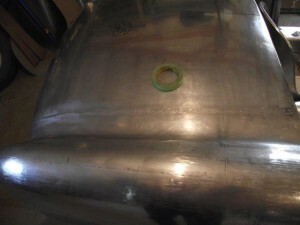 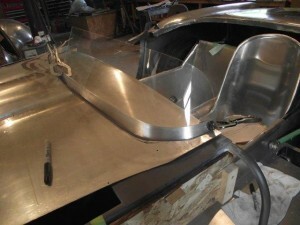 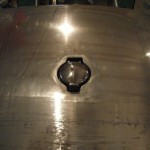 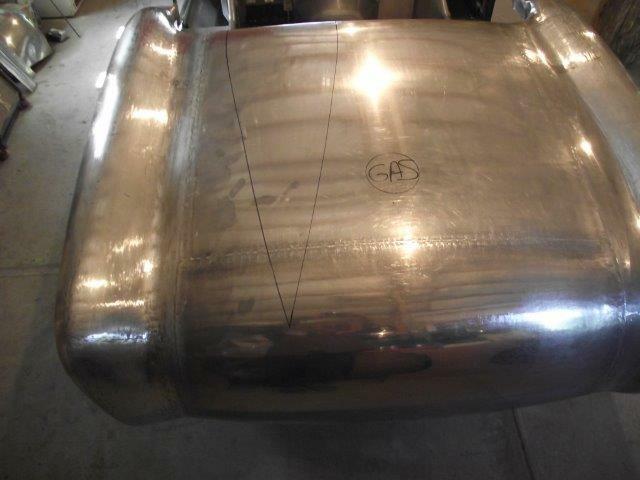 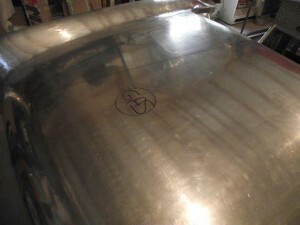 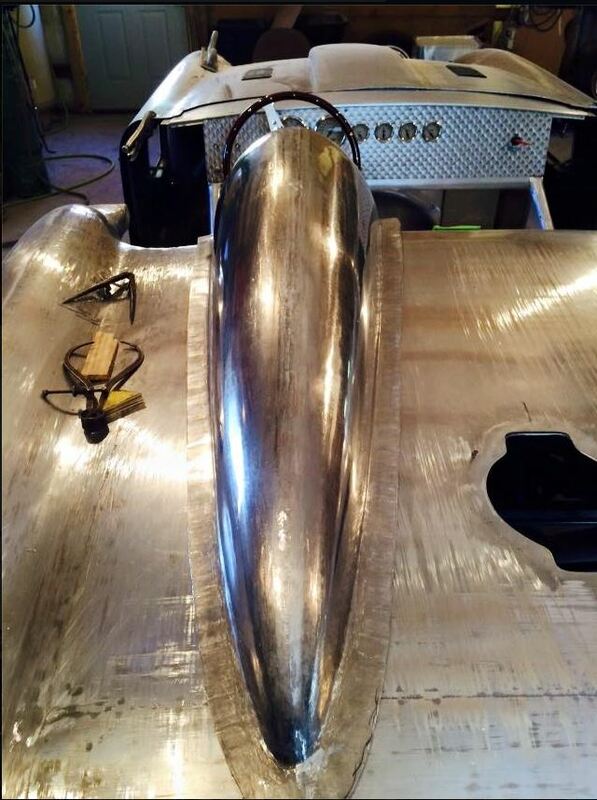 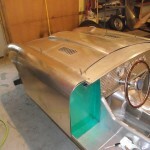 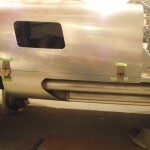 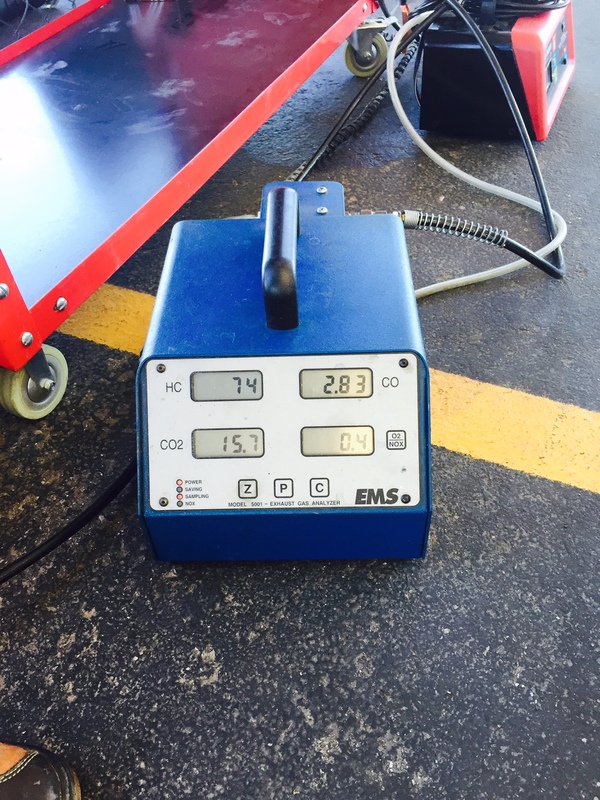 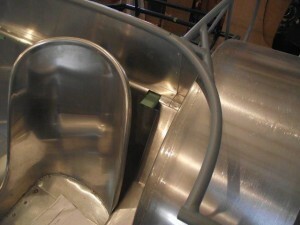 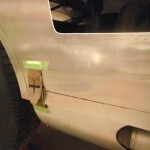 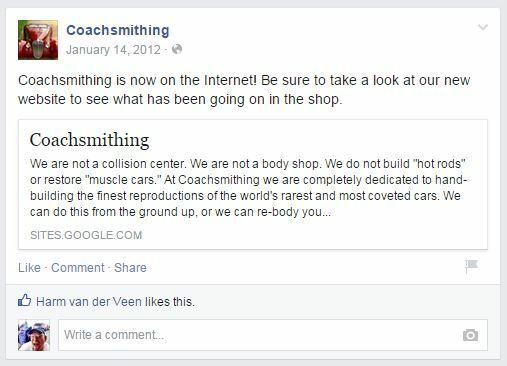 Check the progress this week on coachsmithing’s web site. She is looking very good!!!!!!!!!!! 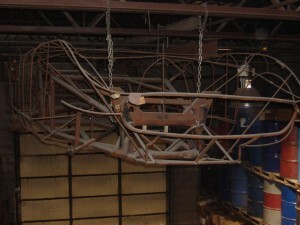 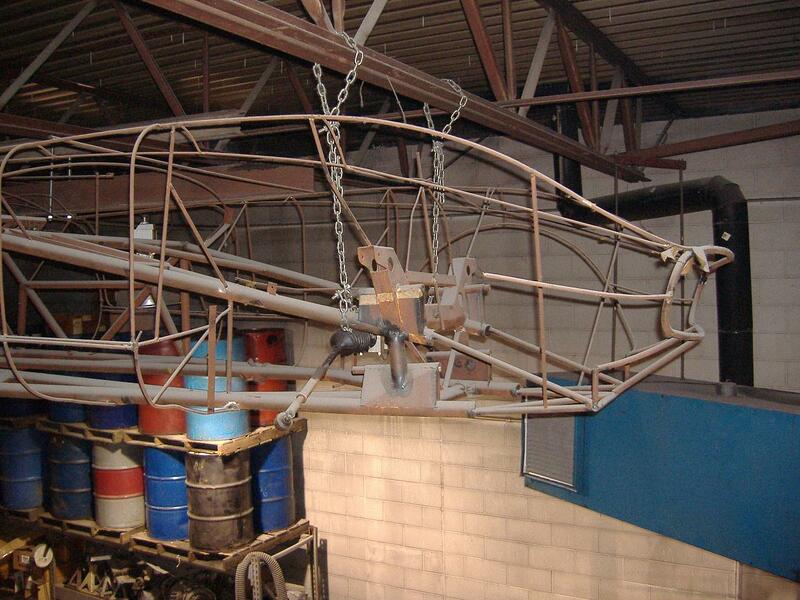 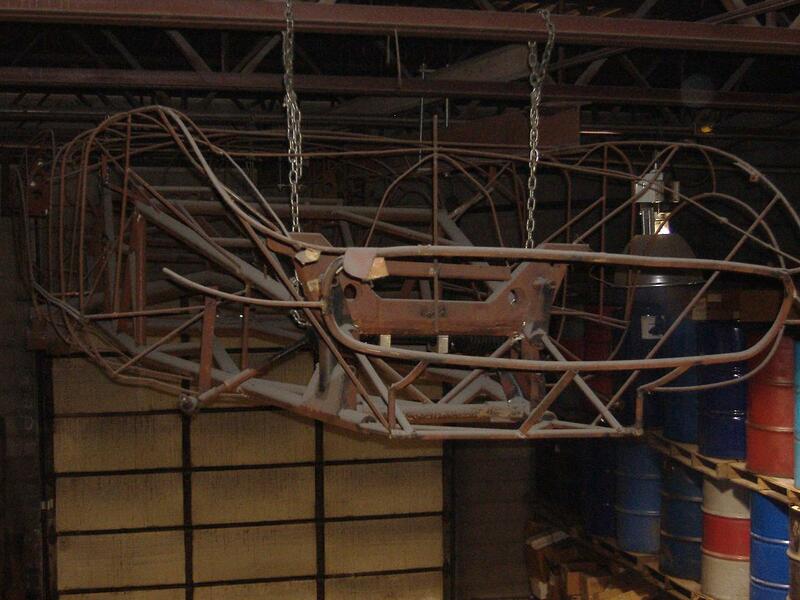 This beautiful complete chassis wire frame with suspension components hung in the ceiling of John Tojeiro’S shop until it was acquired by Gilbert Dickson, who managed the Tojeiro Registry. 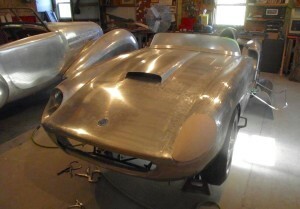 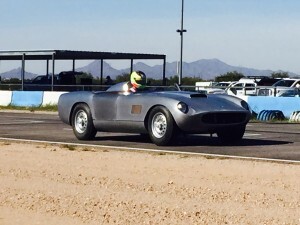 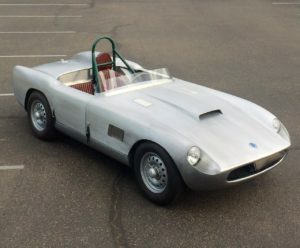 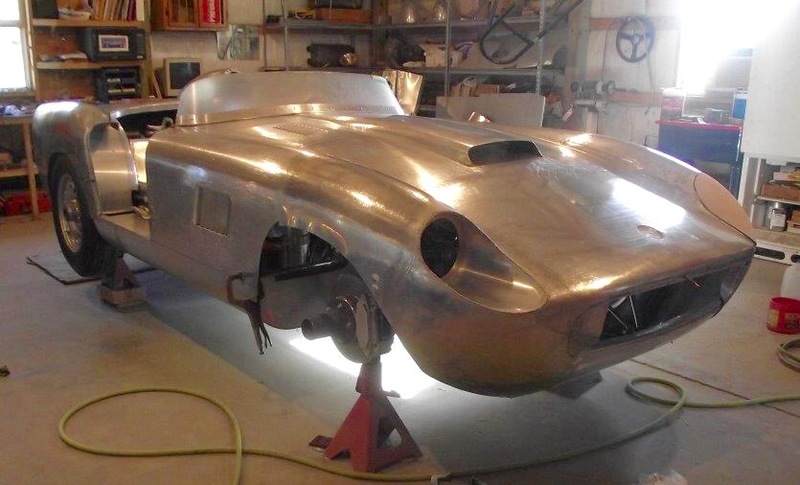 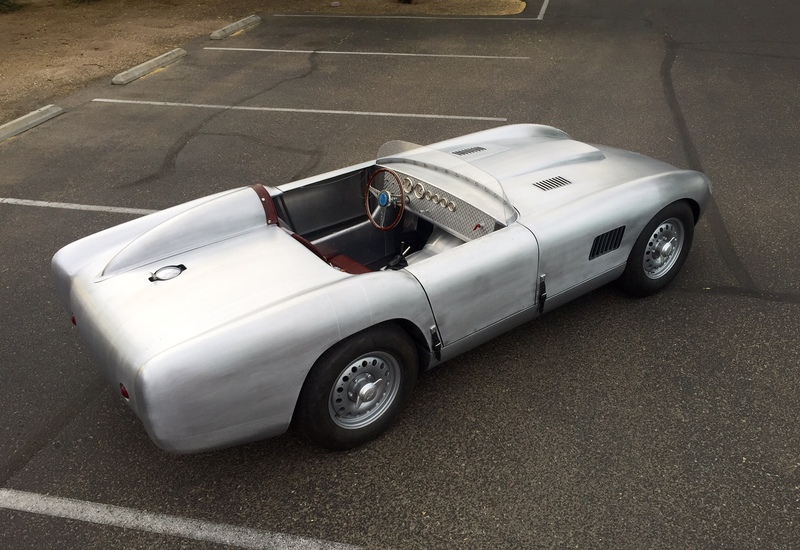 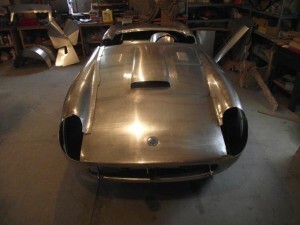 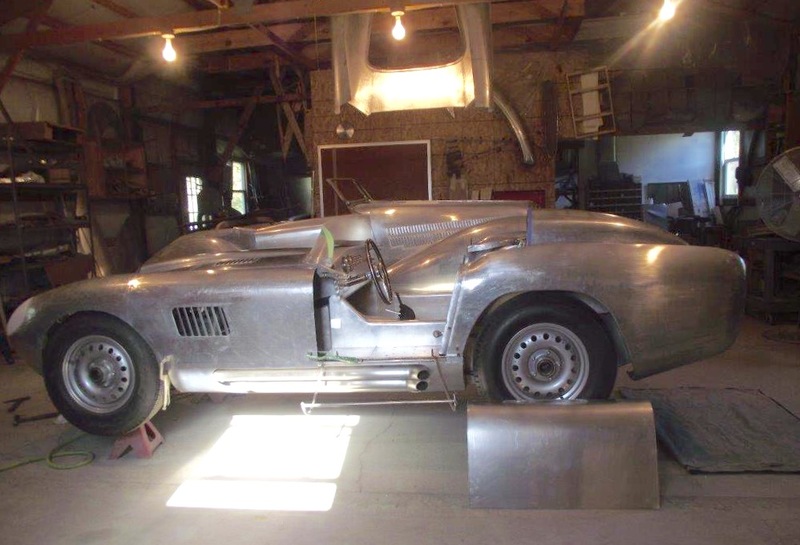 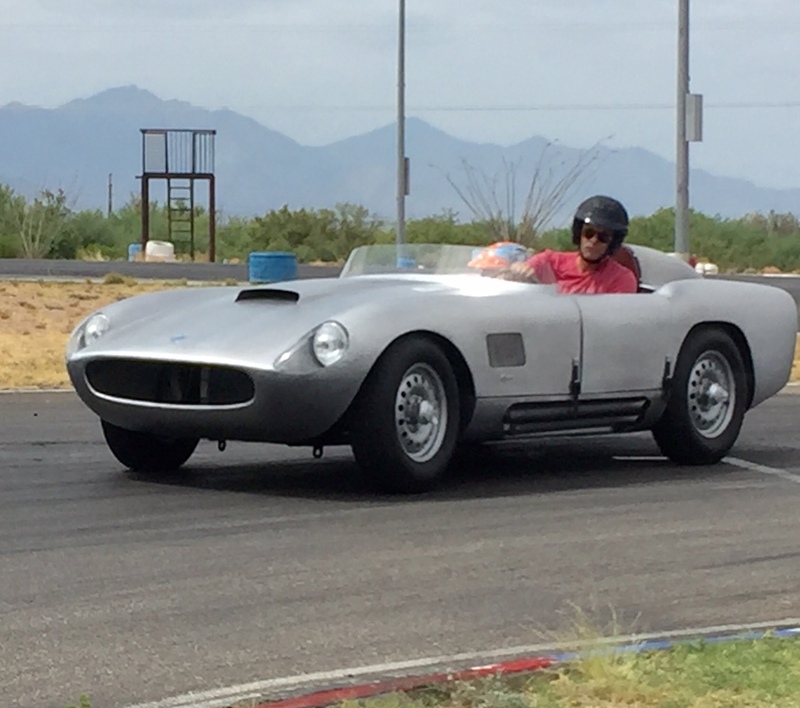 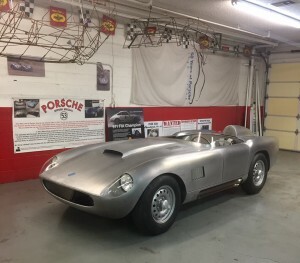 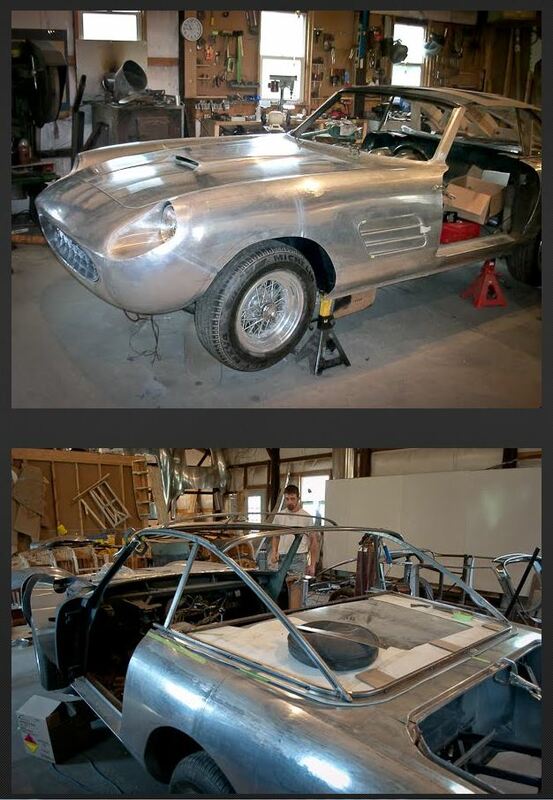 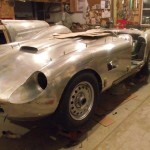 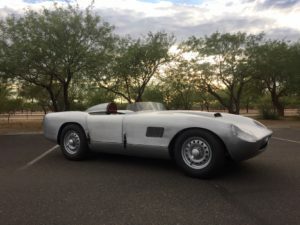 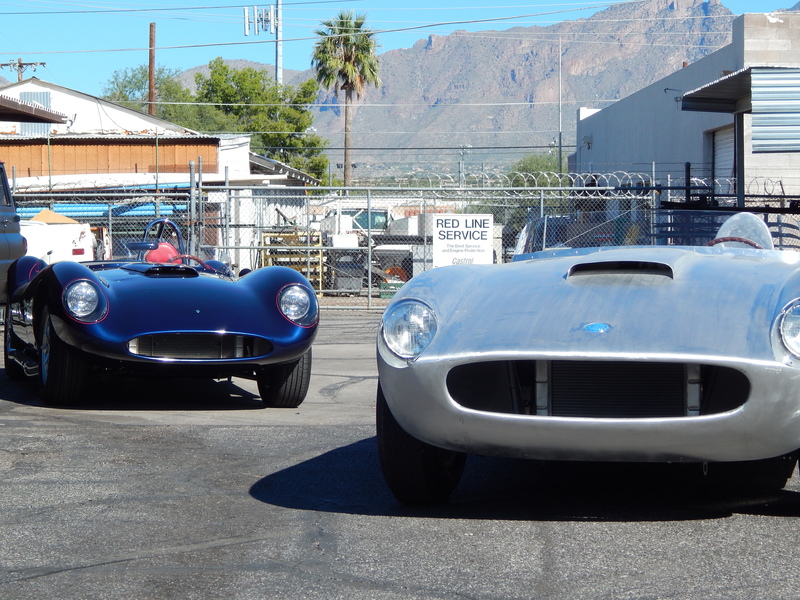 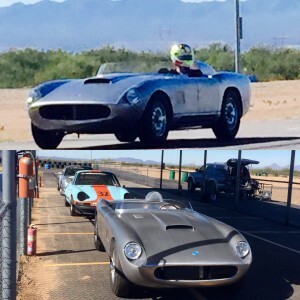 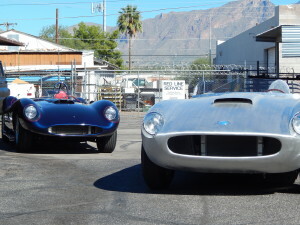 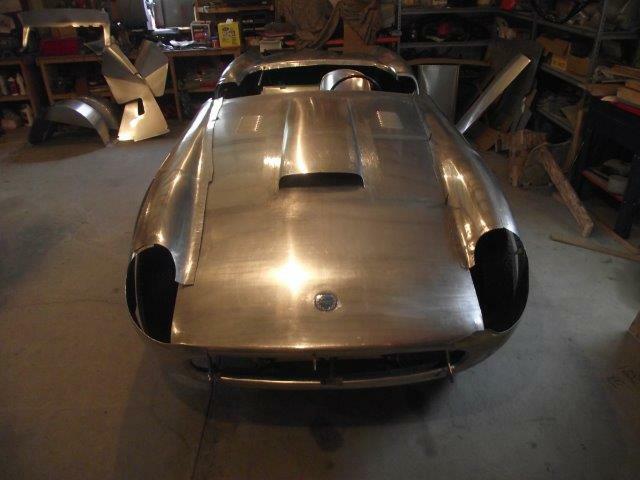 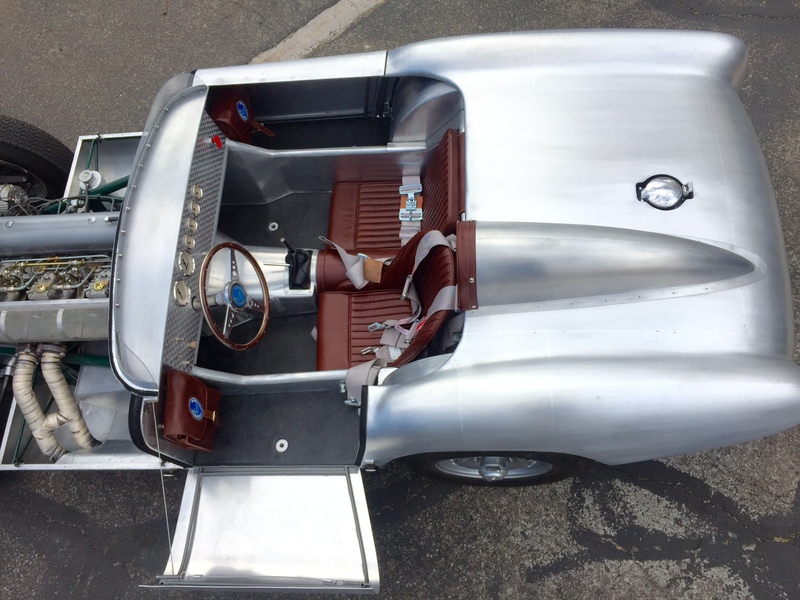 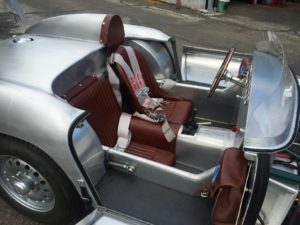 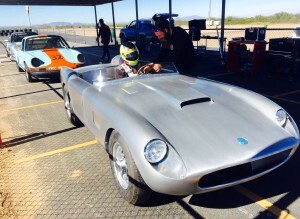 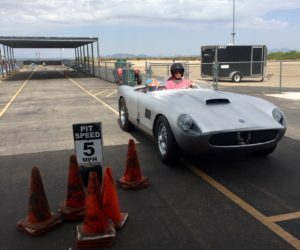 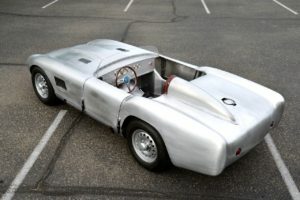 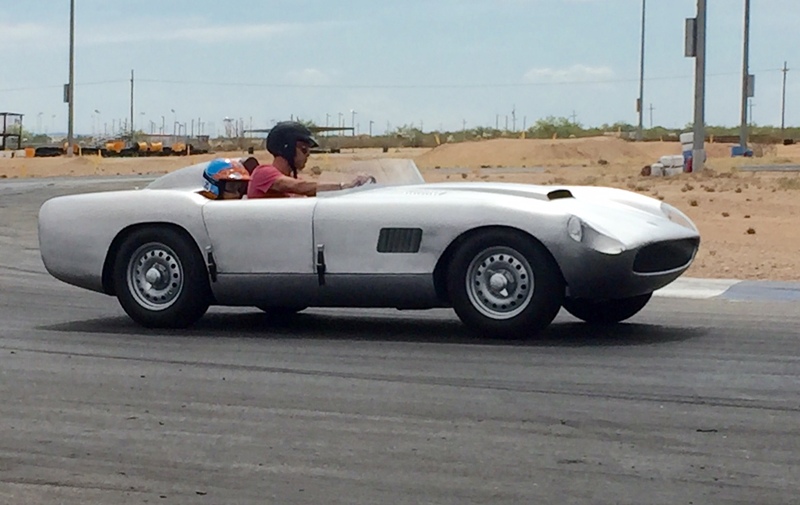 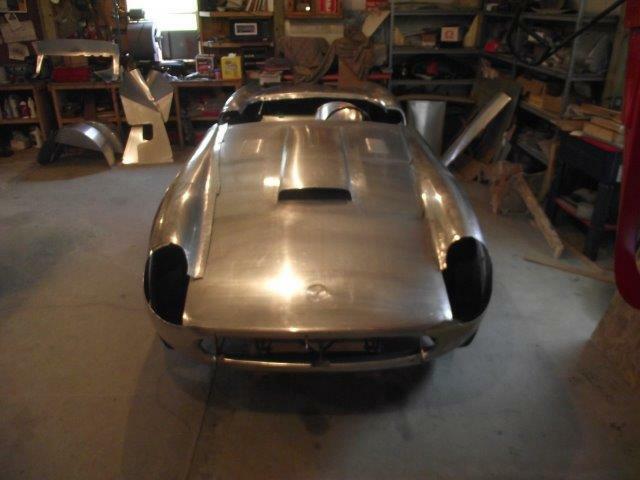 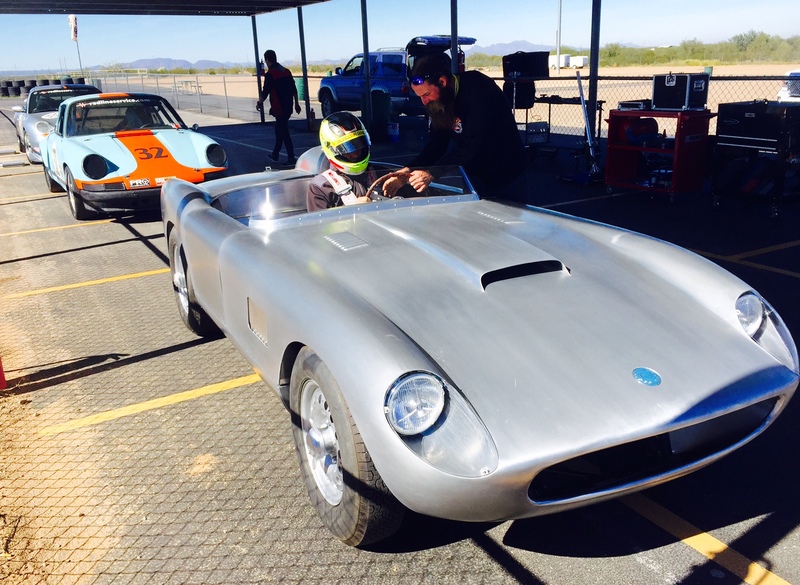 In 1959 John Tojeiro the famous car designer and builder who is most recognized for his work on the AC, which later became the Cobra, began creations of one of his last front engine sports cars. 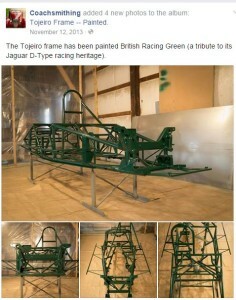 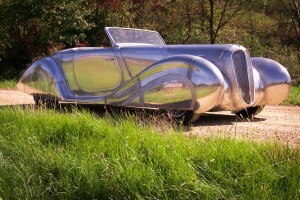 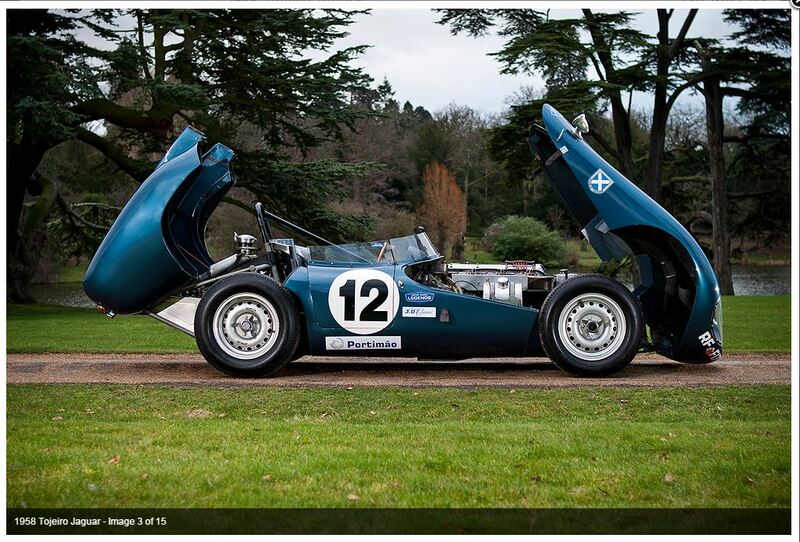 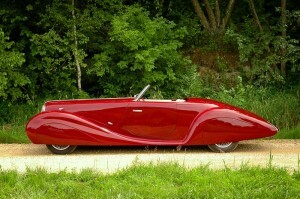 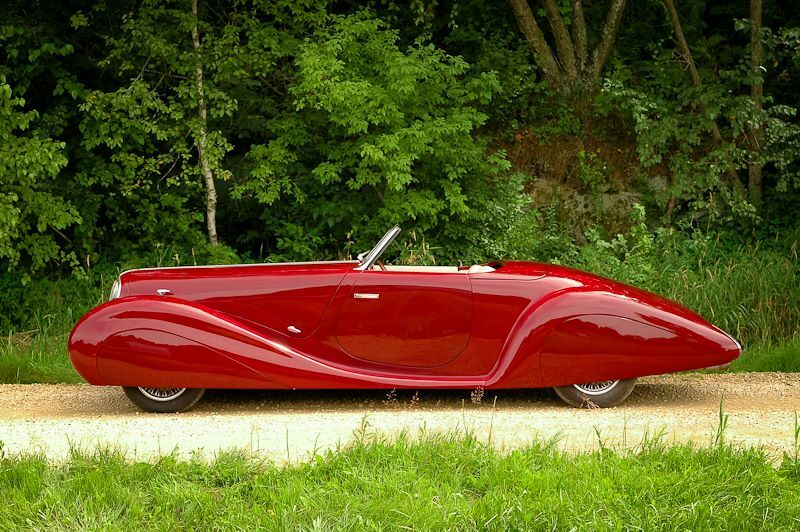 He used a similar design as on the earlier Ecurie Ecosse Tojeiro Jaguar that ran at LeMans. 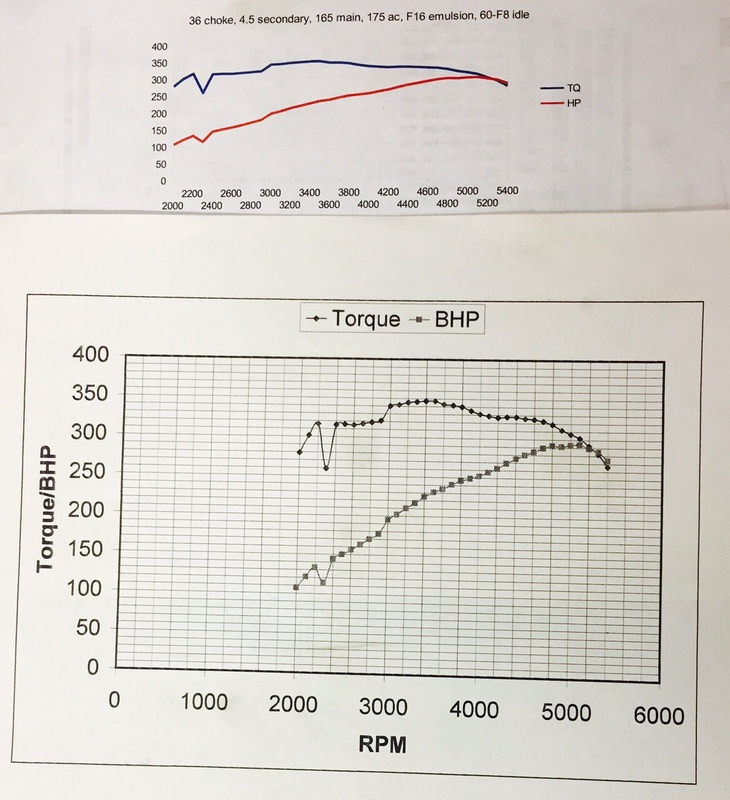 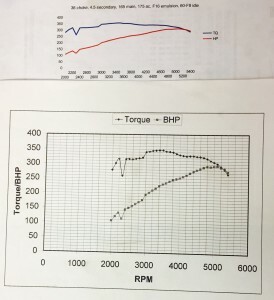 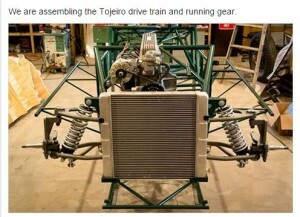 The new car incorporated a similar tube frame structure on which Tojeiro used coil springs with concentric tubular shock absorber’s fabricated upper and lower A-arms at the front. 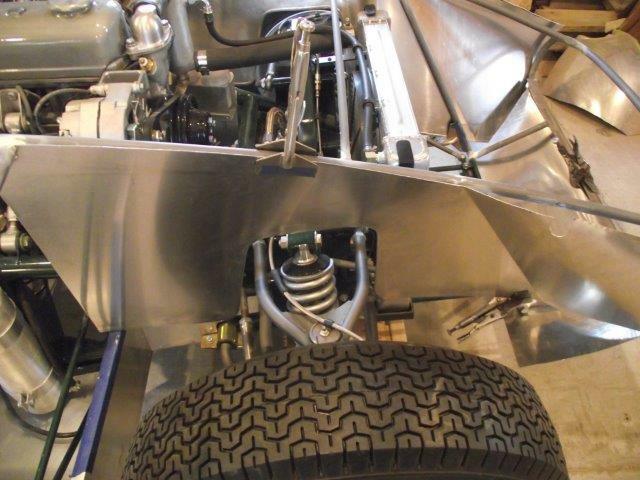 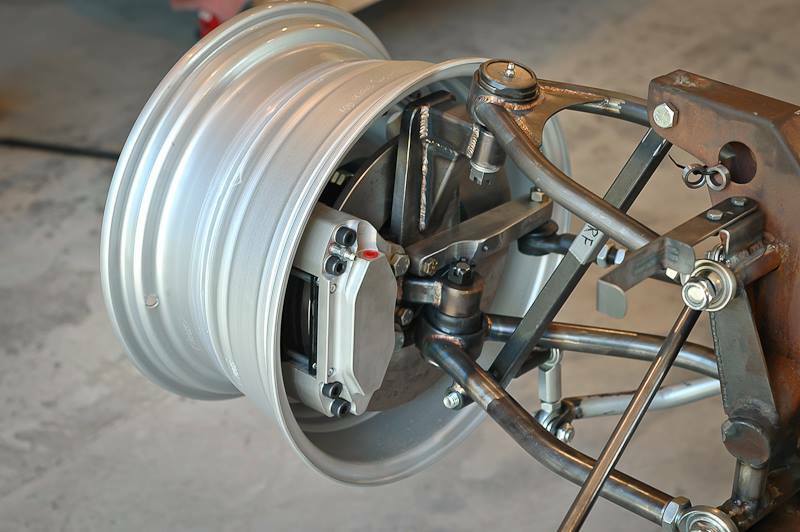 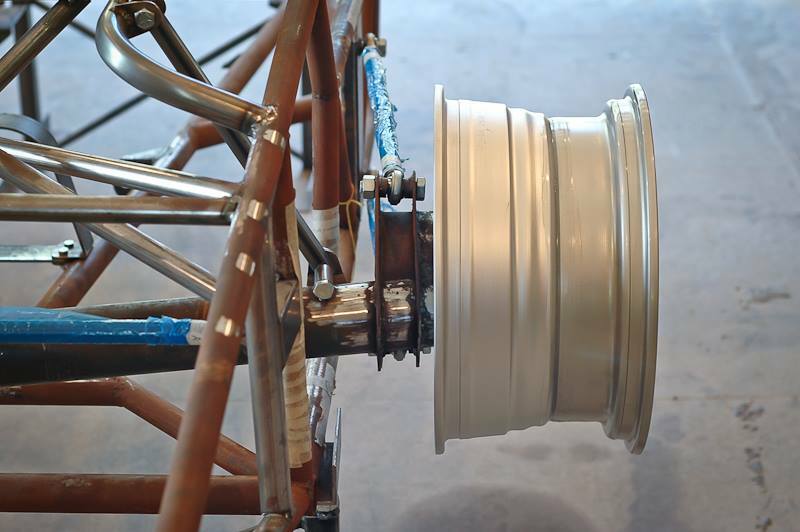 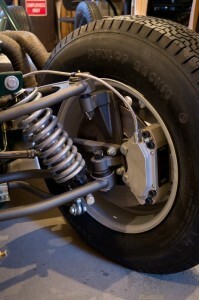 A DeDion rear axle located by parallel trailing arms on a Watts linkage also with coil overs at the rear. 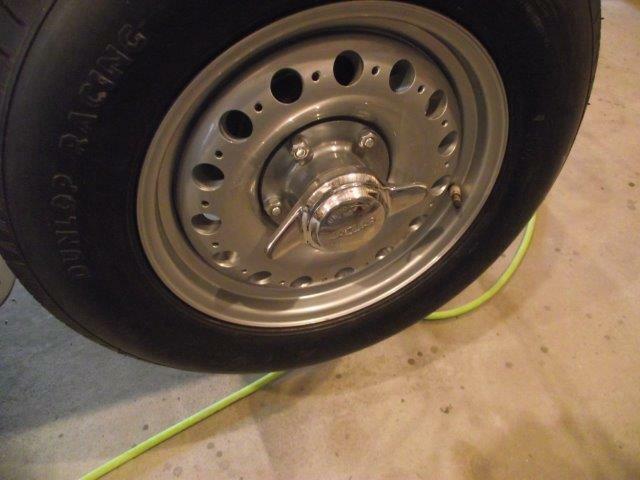 It was also fitted with disc brakes the rears located in board to reduce un sprung weight. 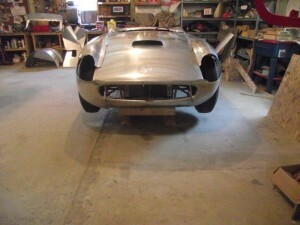 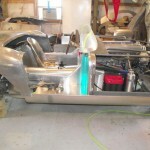 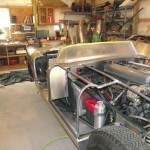 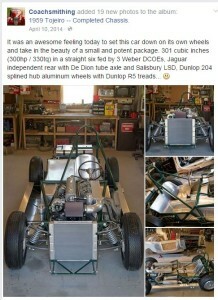 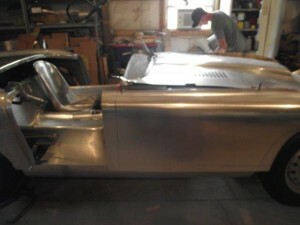 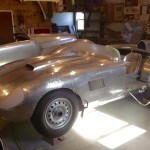 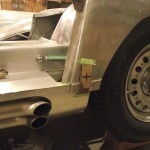 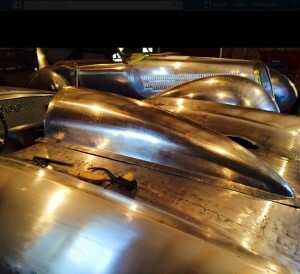 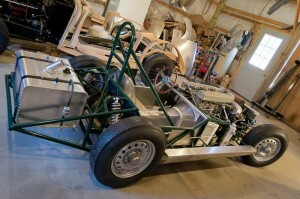 John built two chassis, one to replace the crash cured Ecurie Ecosse racer from an accident at Nurbugrring and this one. 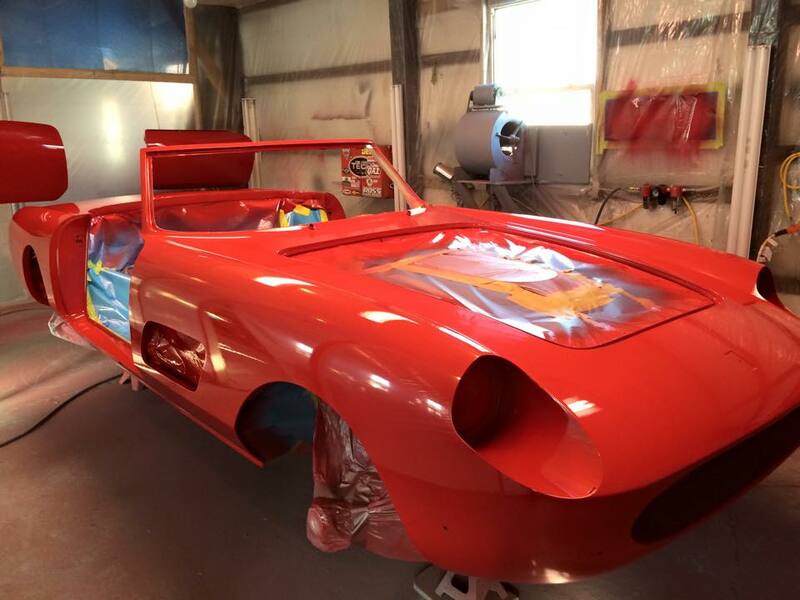 John was intrigued by the new Ferrari California body design and ask friend Cavendish Morton to create a similar look for his new chassis. 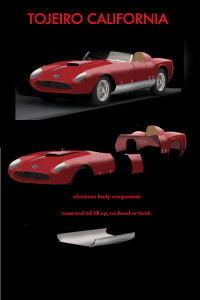 Cavy did a lovely drawing which was used as reference for the alloy builders Coachsmithing. 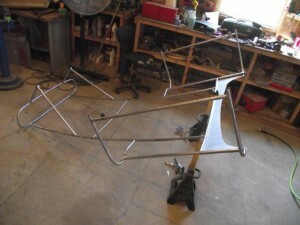 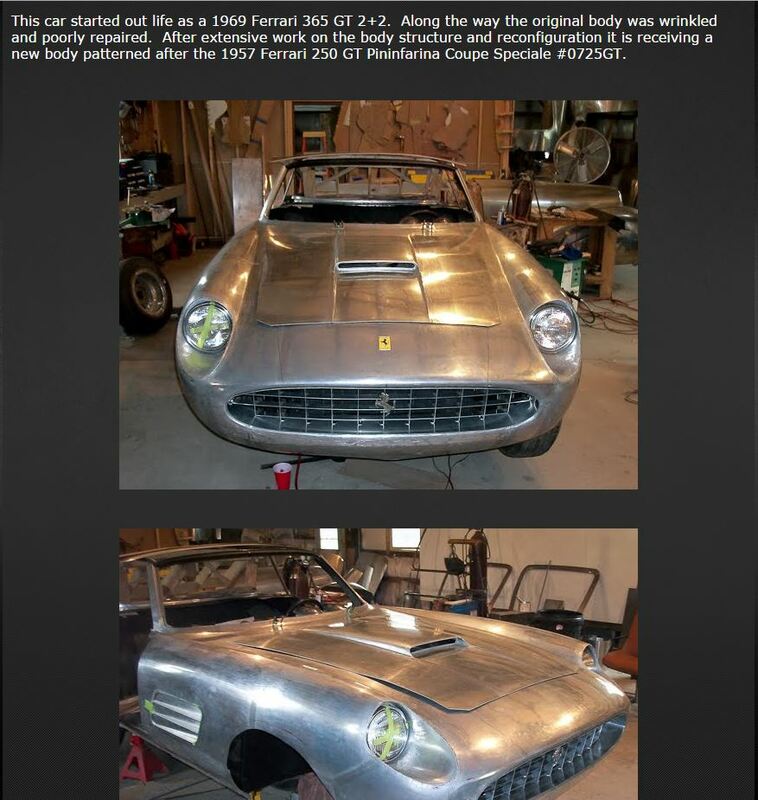 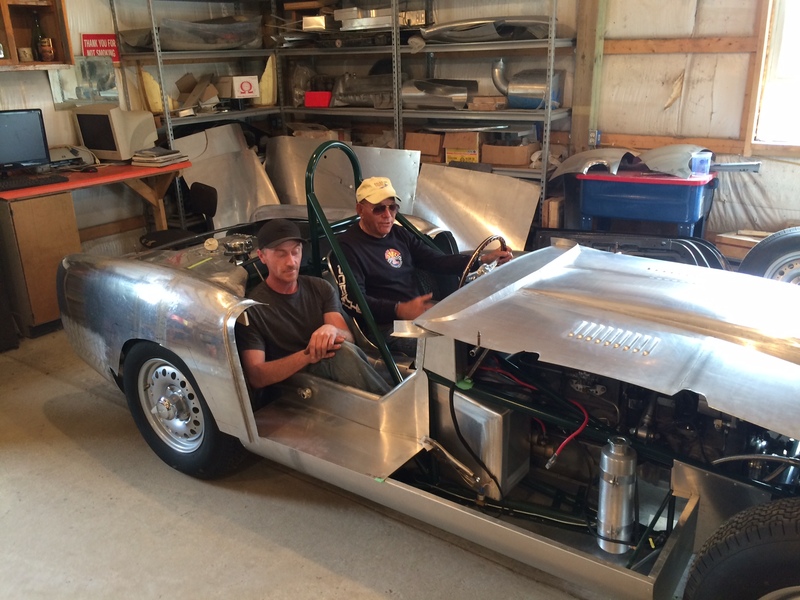 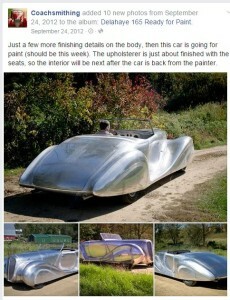 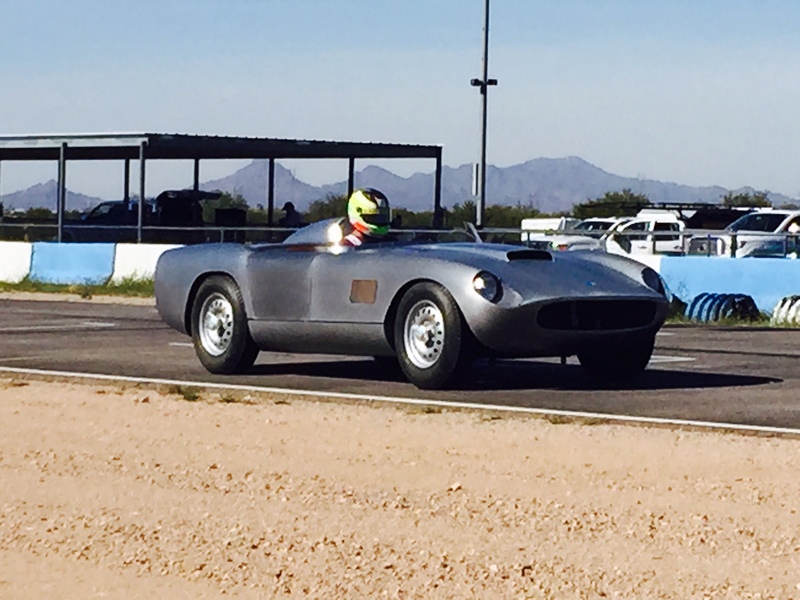 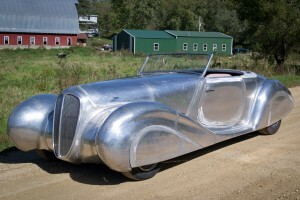 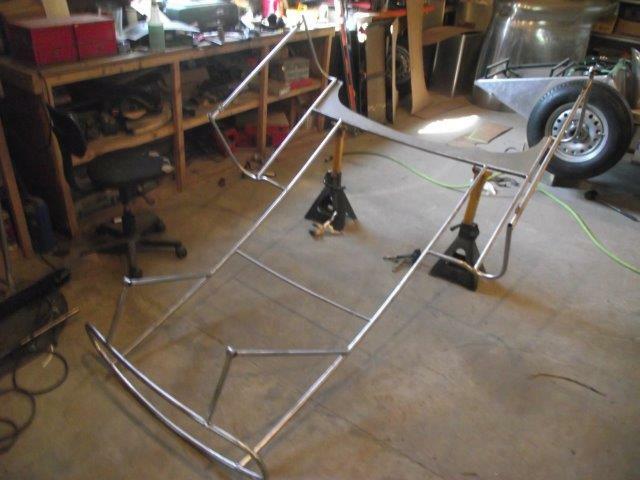 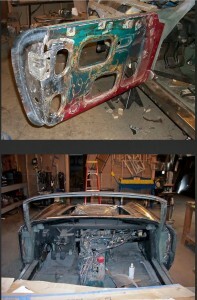 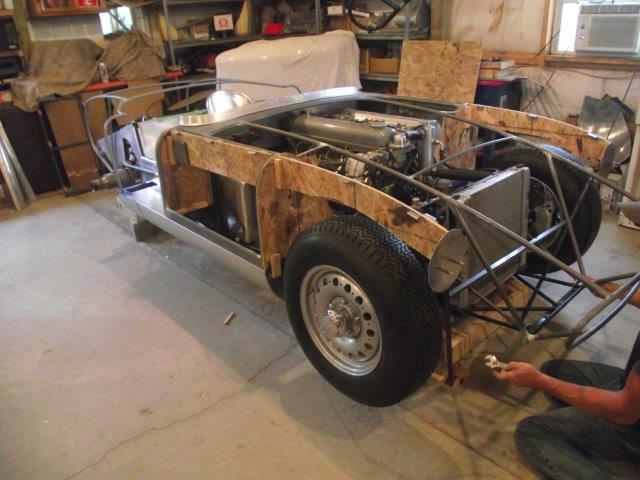 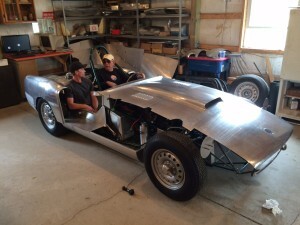 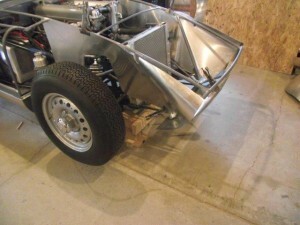 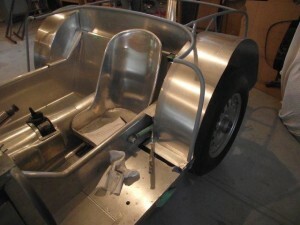 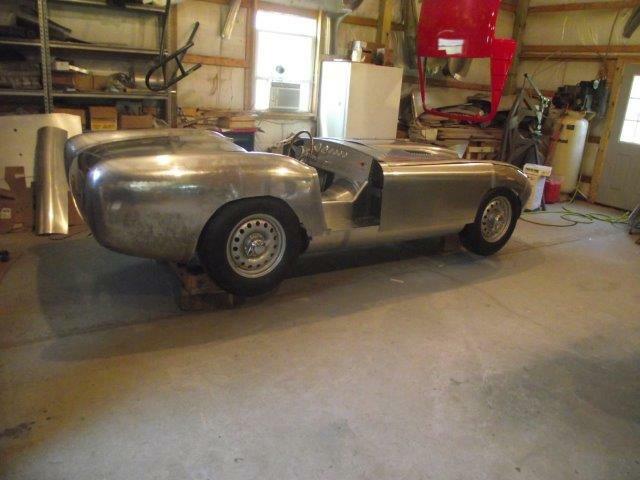 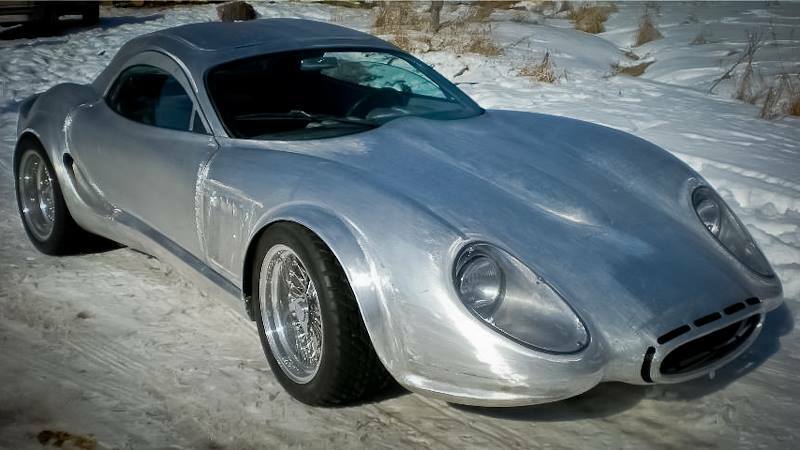 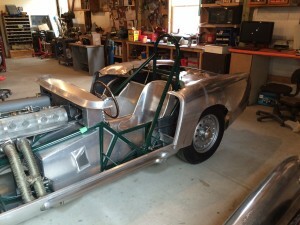 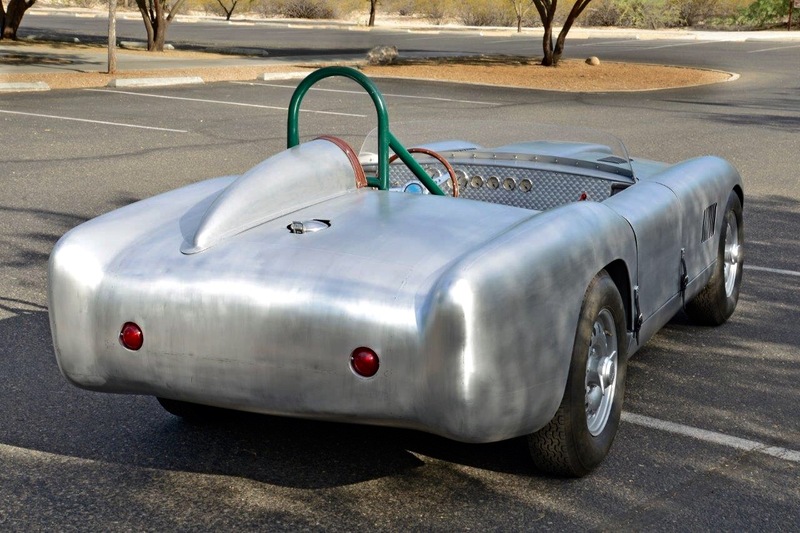 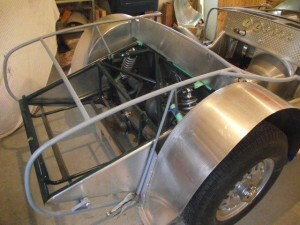 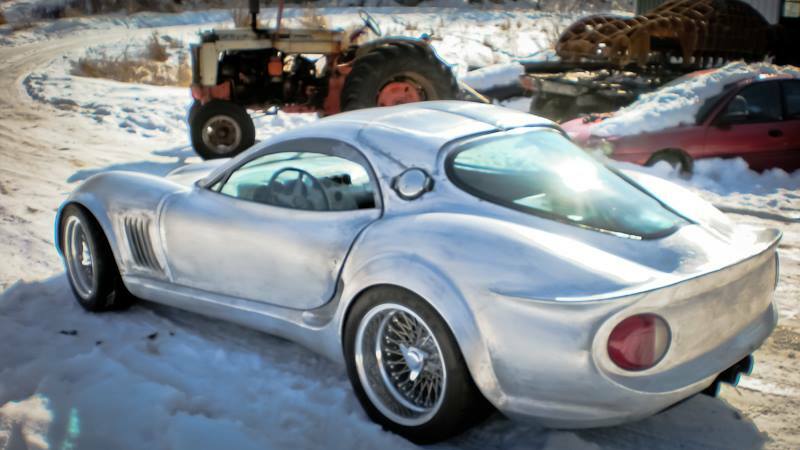 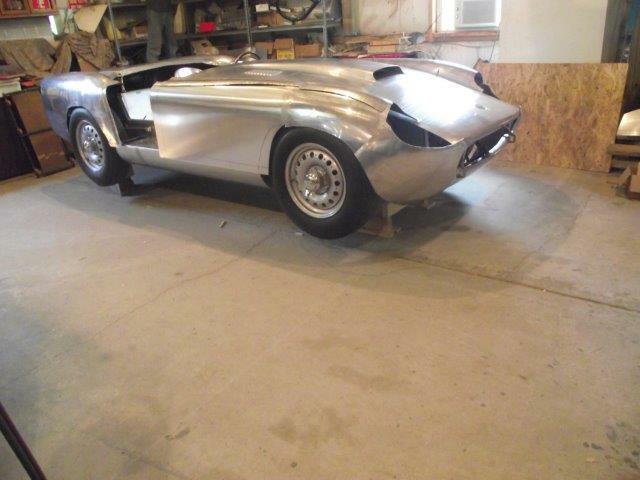 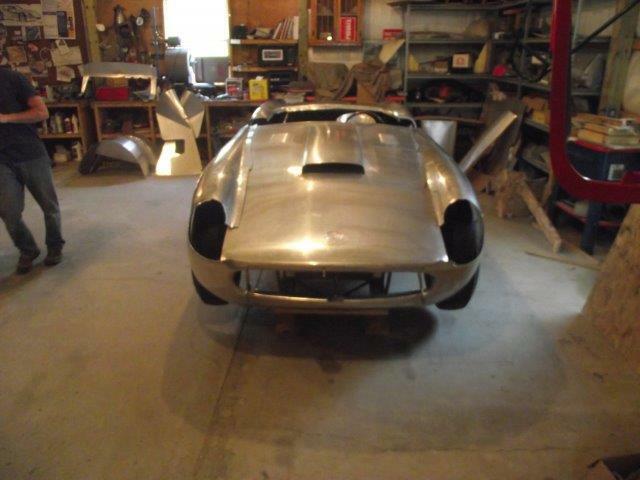 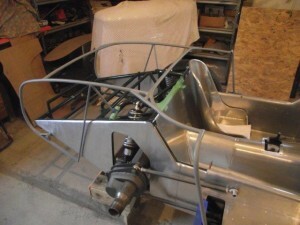 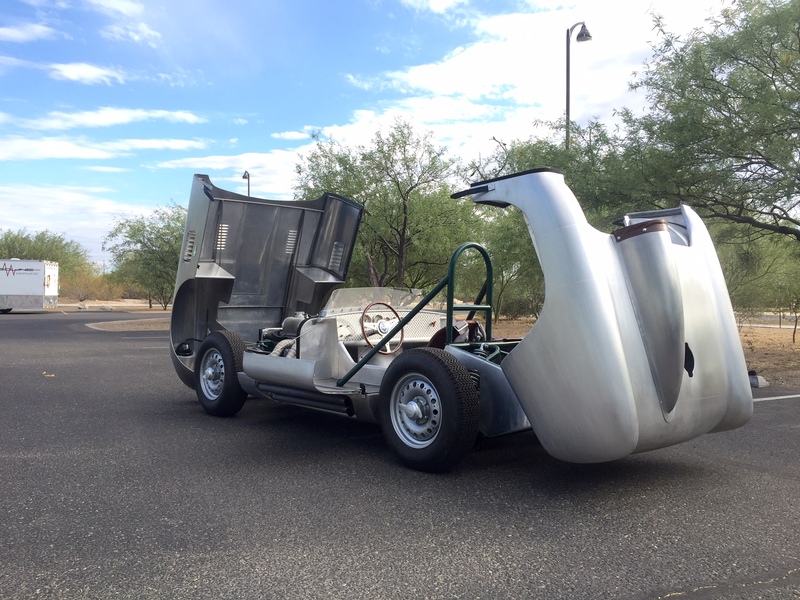 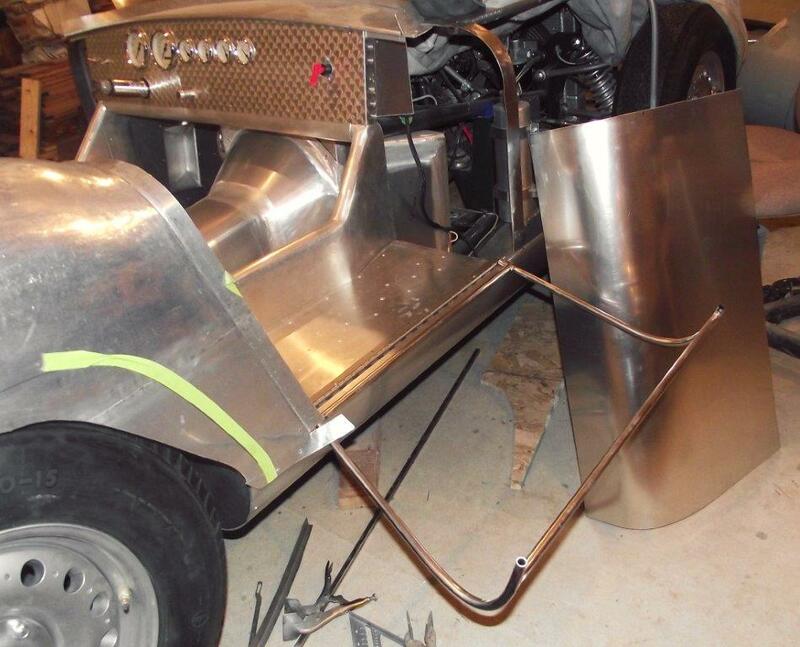 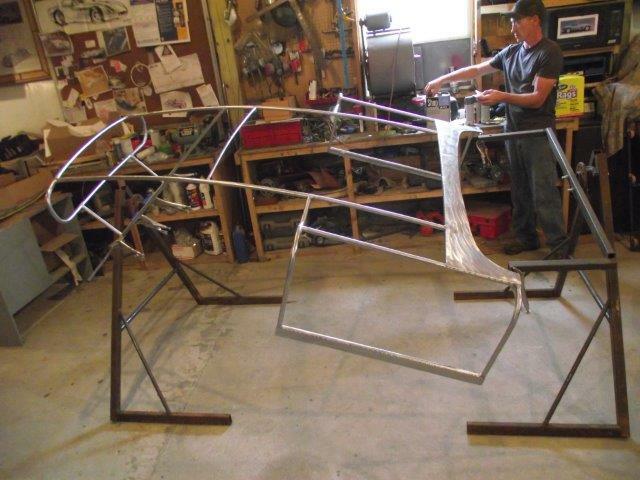 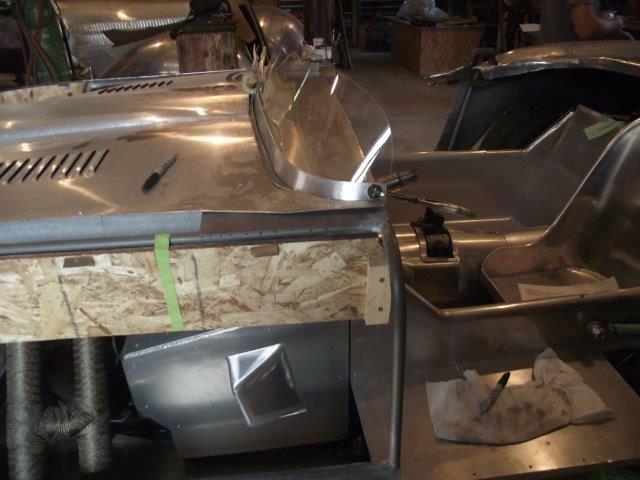 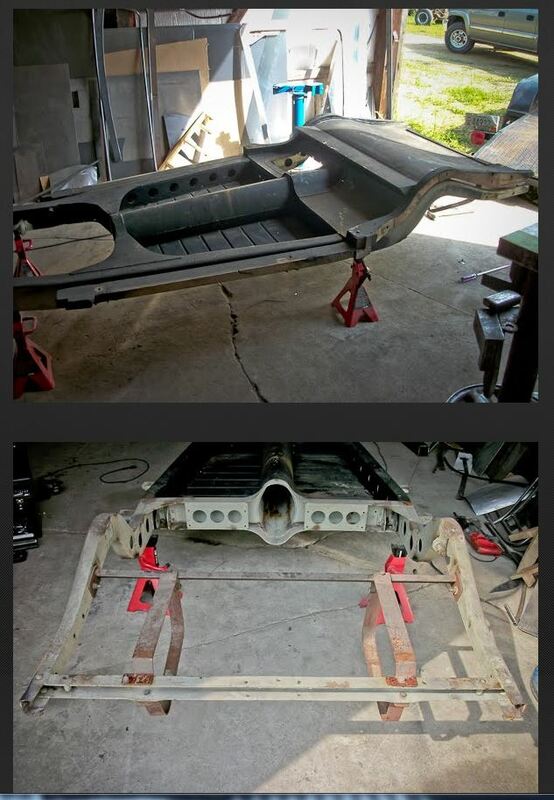 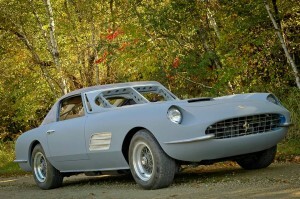 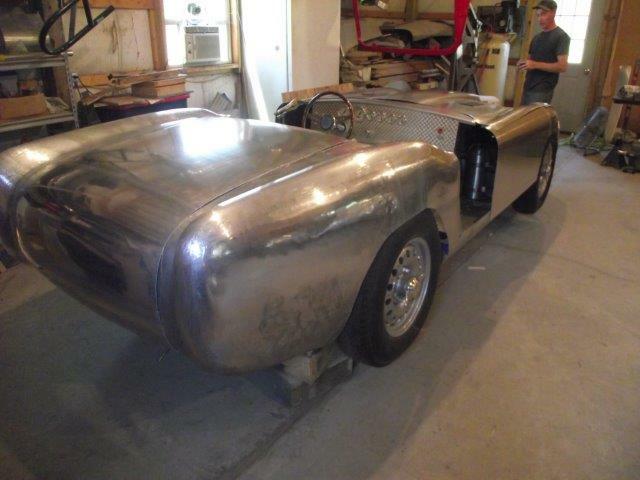 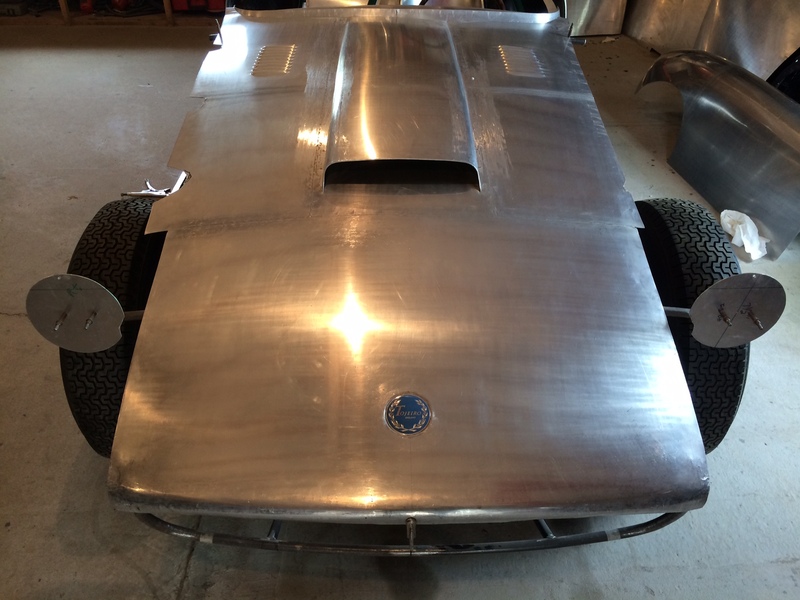 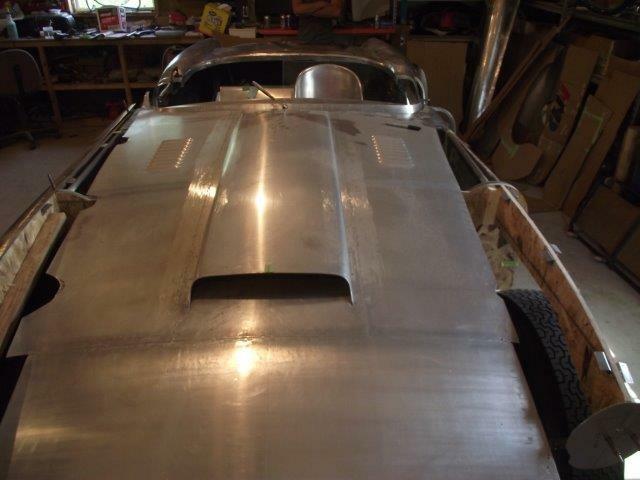 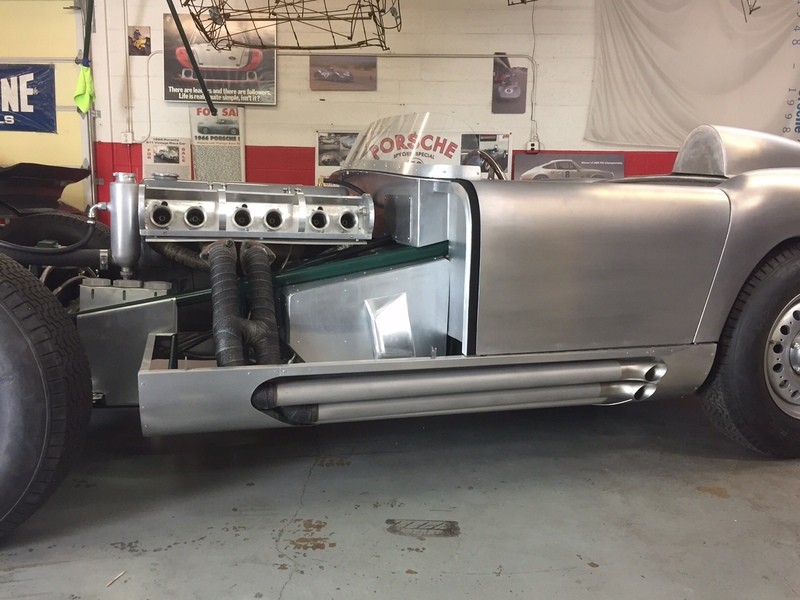 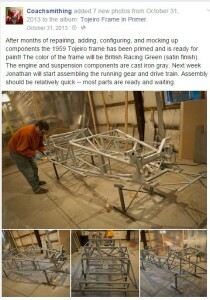 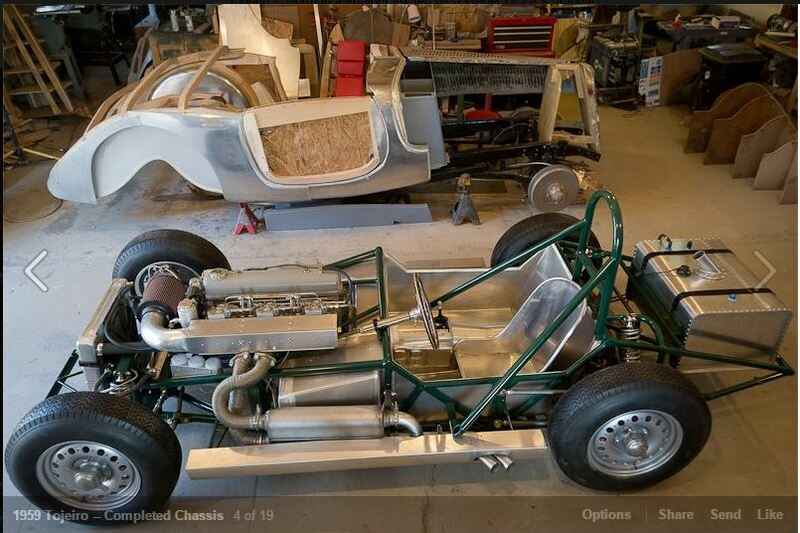 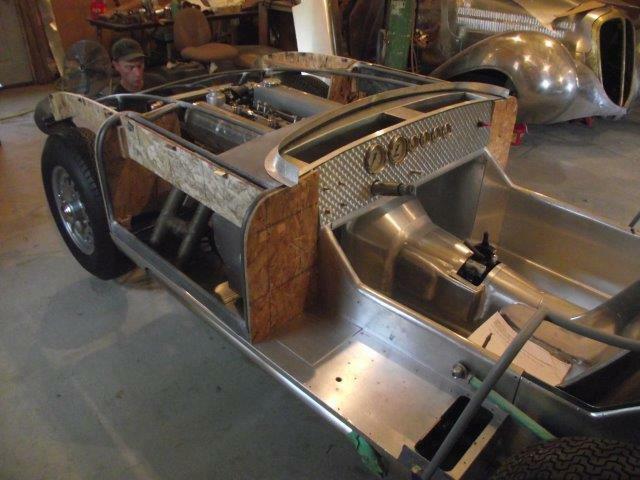 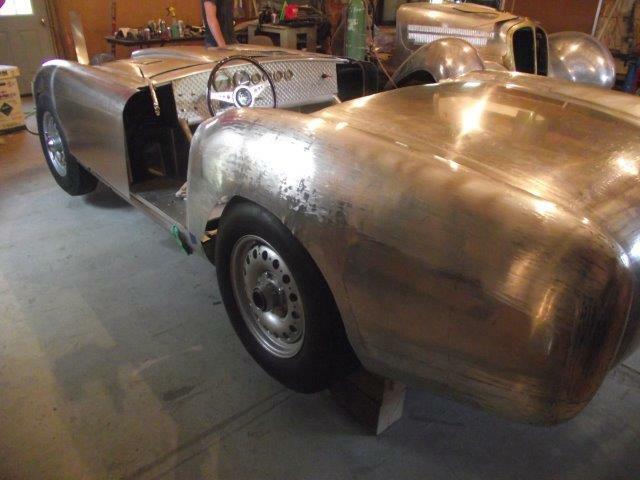 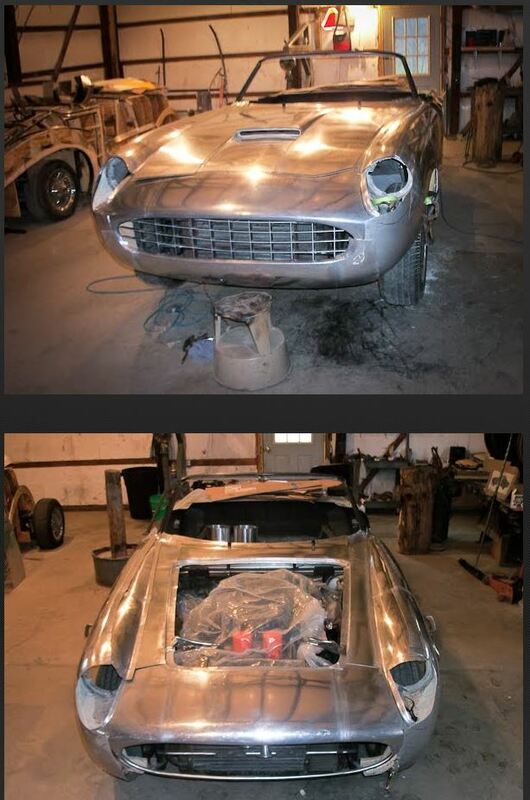 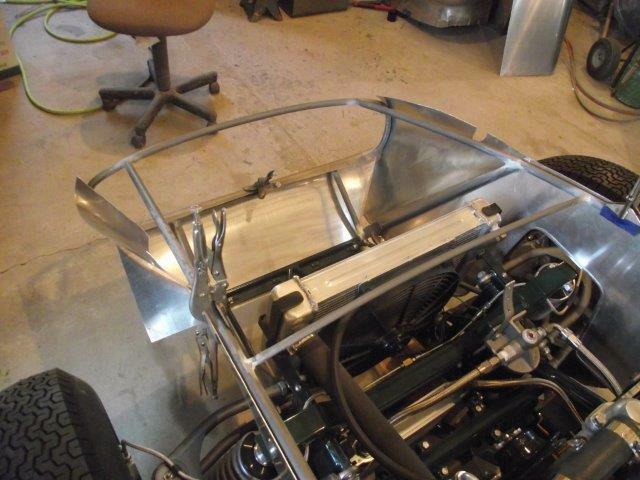 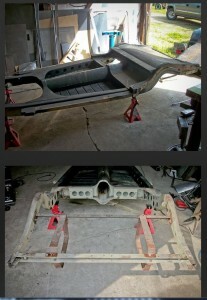 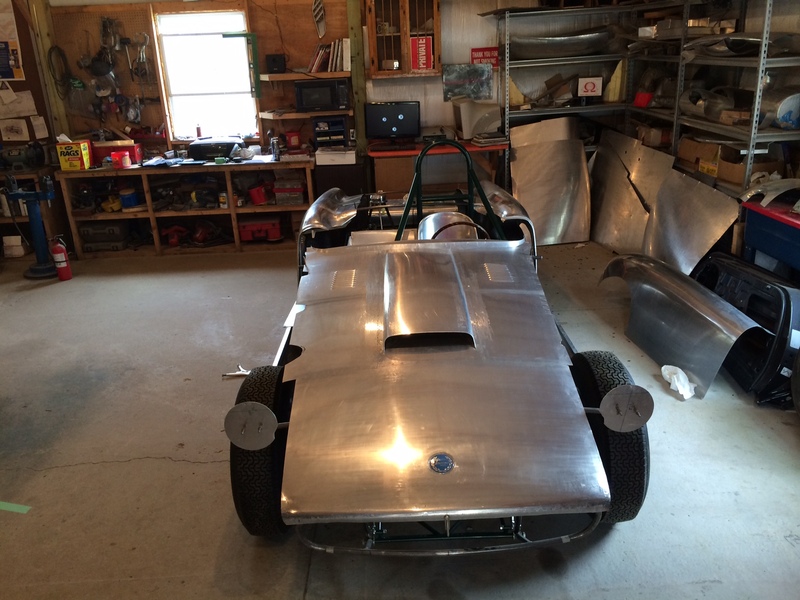 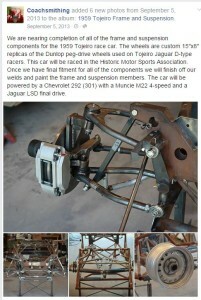 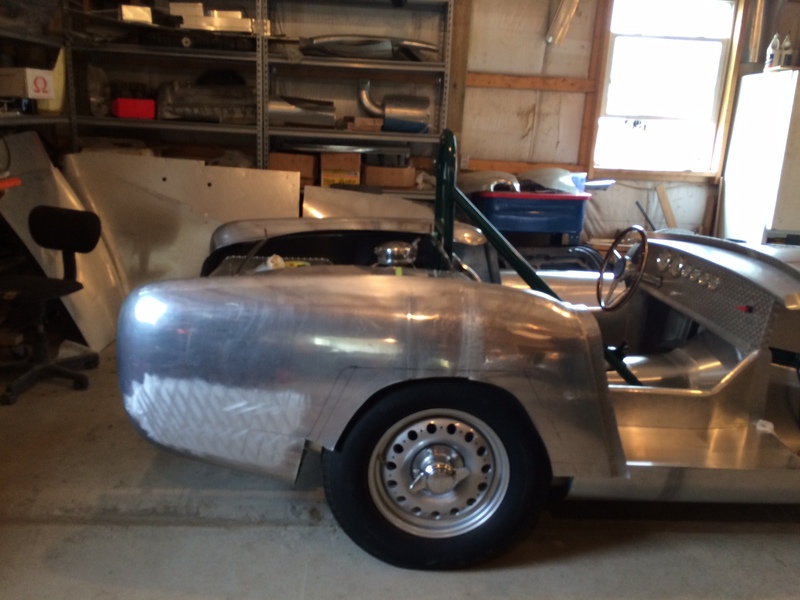 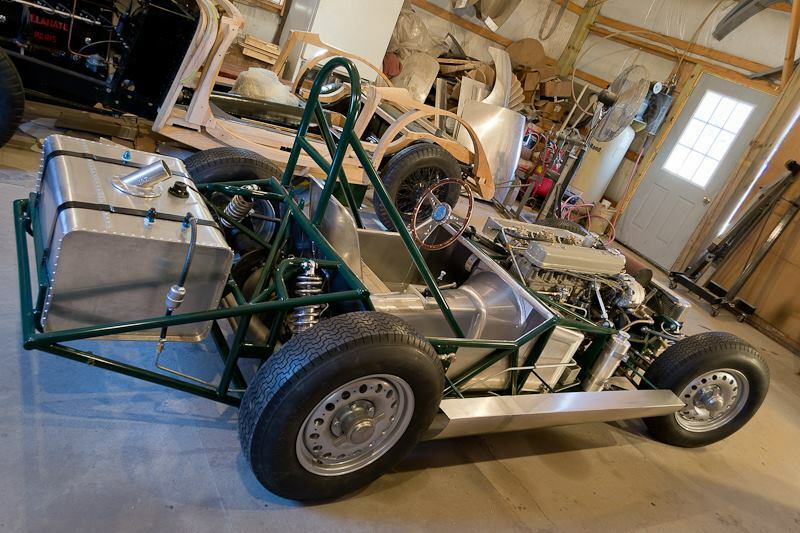 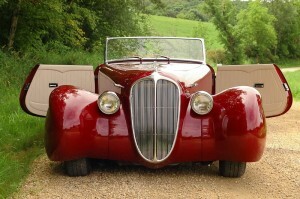 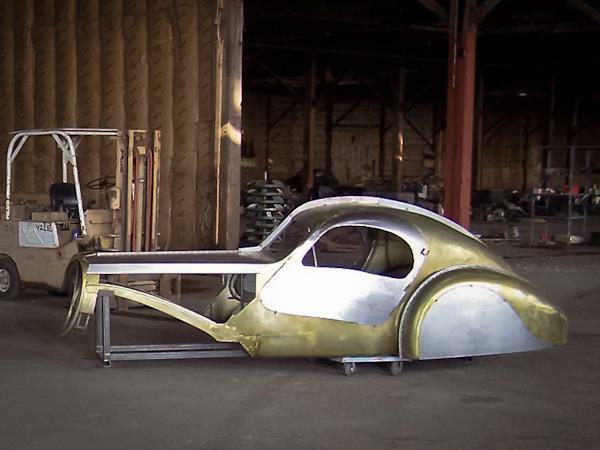 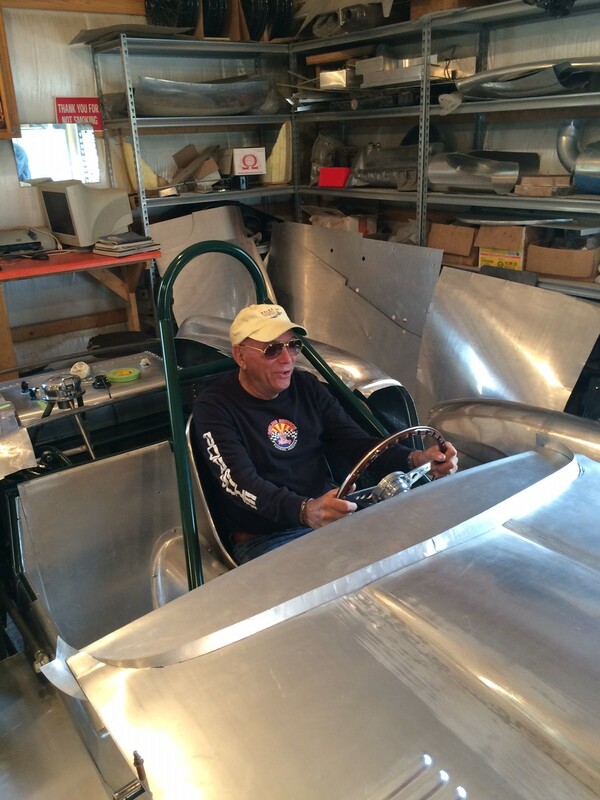 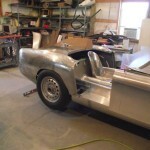 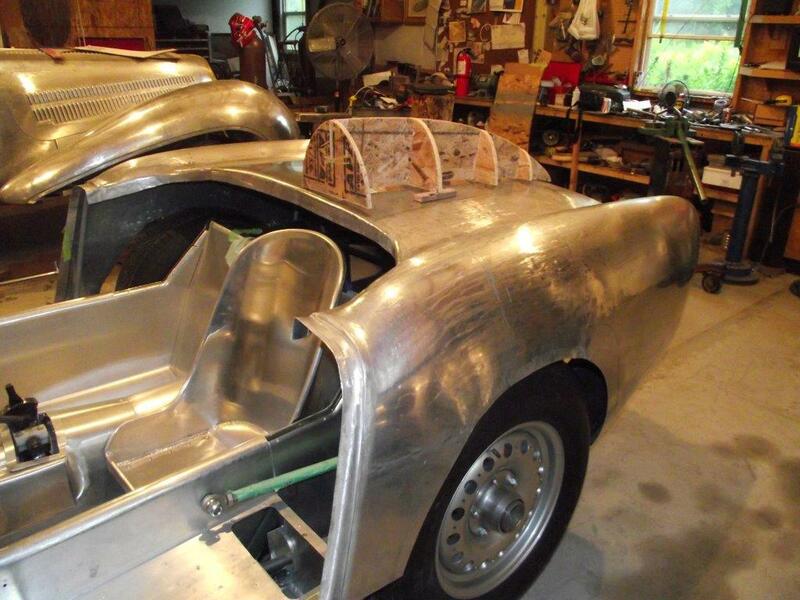 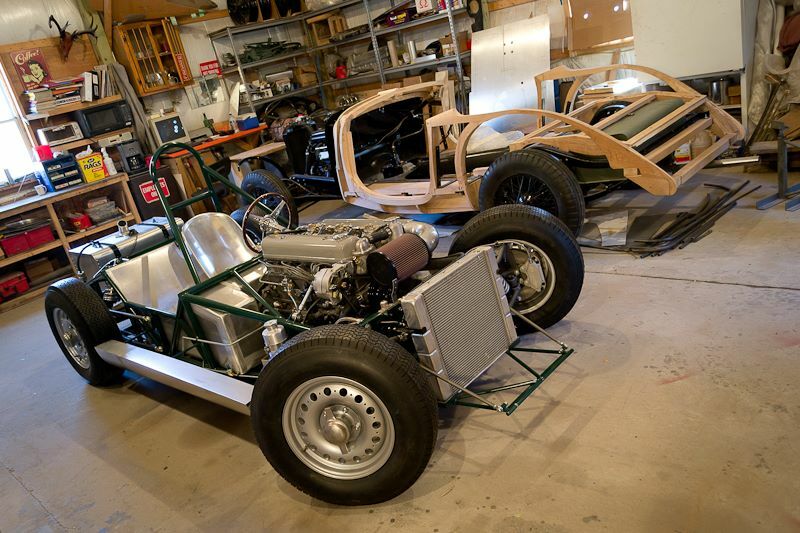 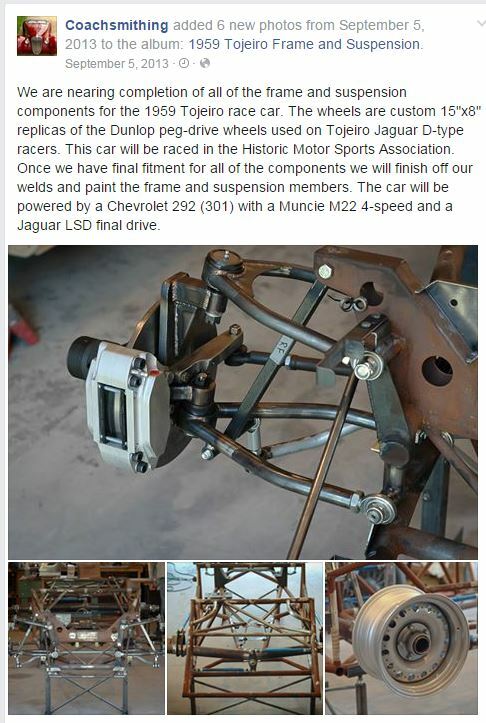 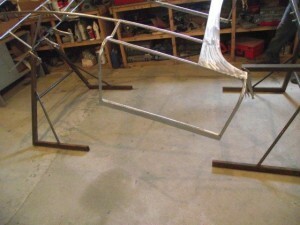 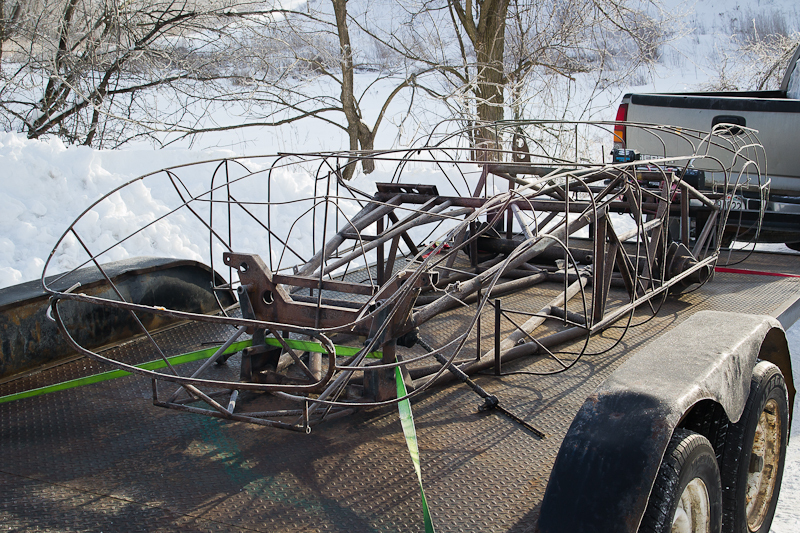 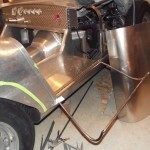 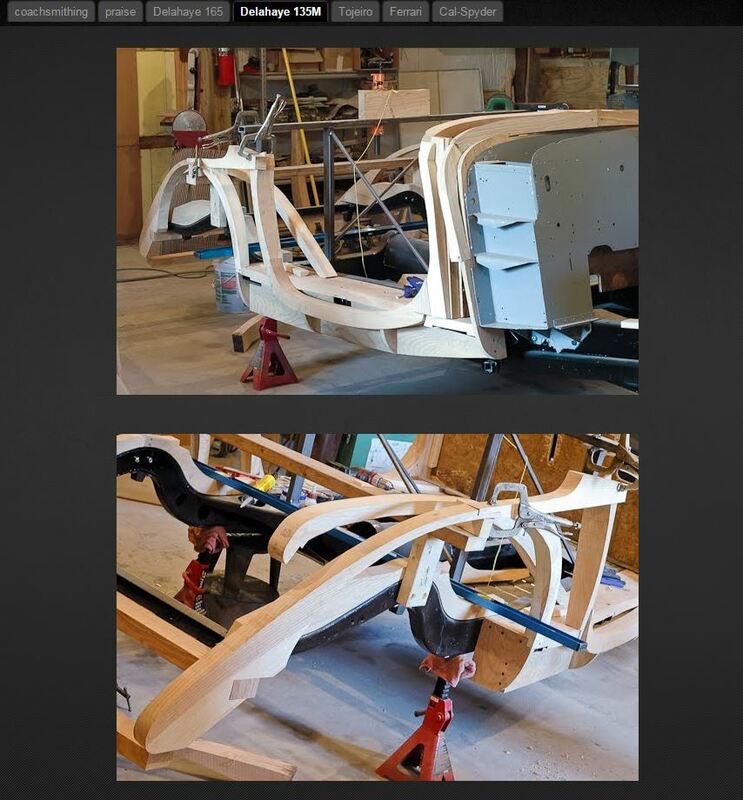 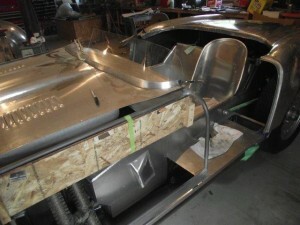 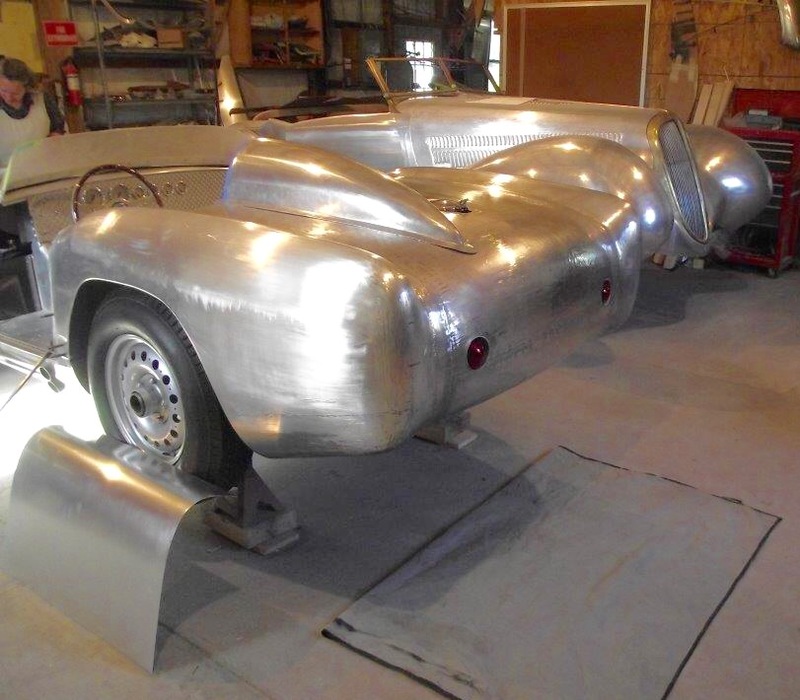 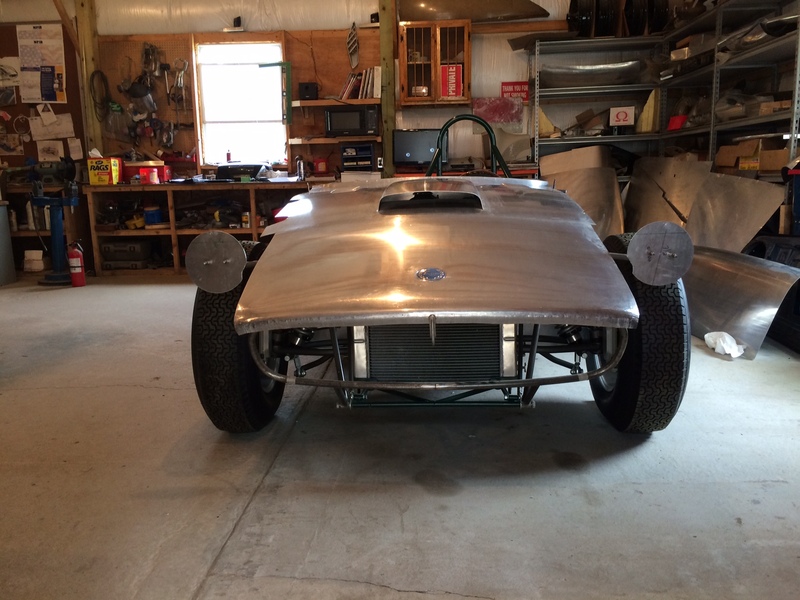 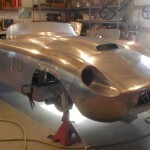 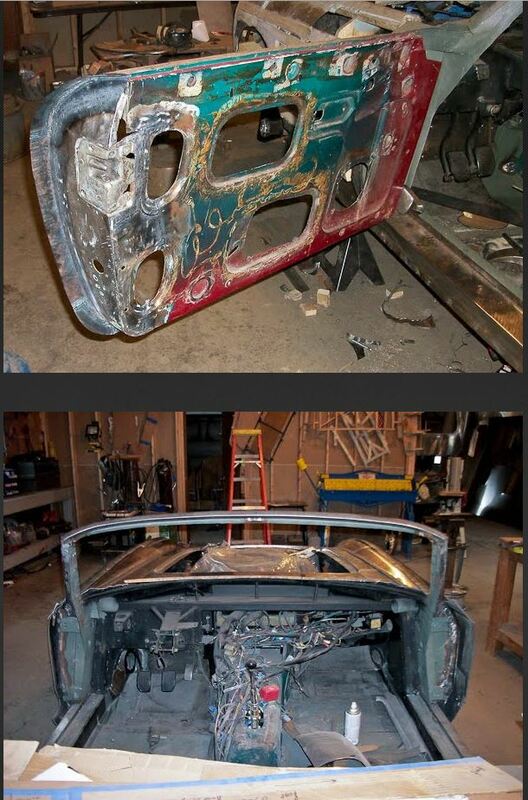 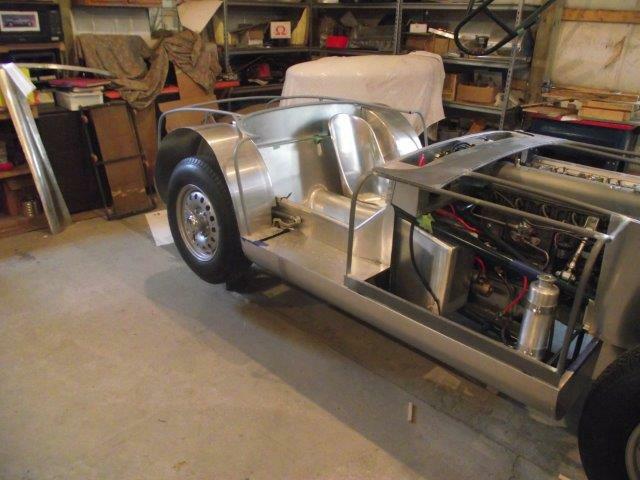 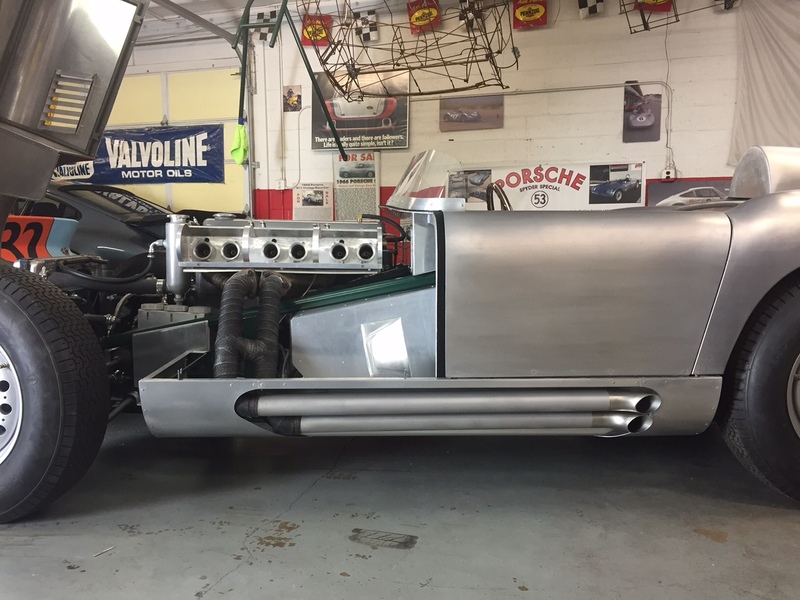 John Tojeiro produced the complete chassis suspension components and wire body frame inspired by Cavy’s drawings. 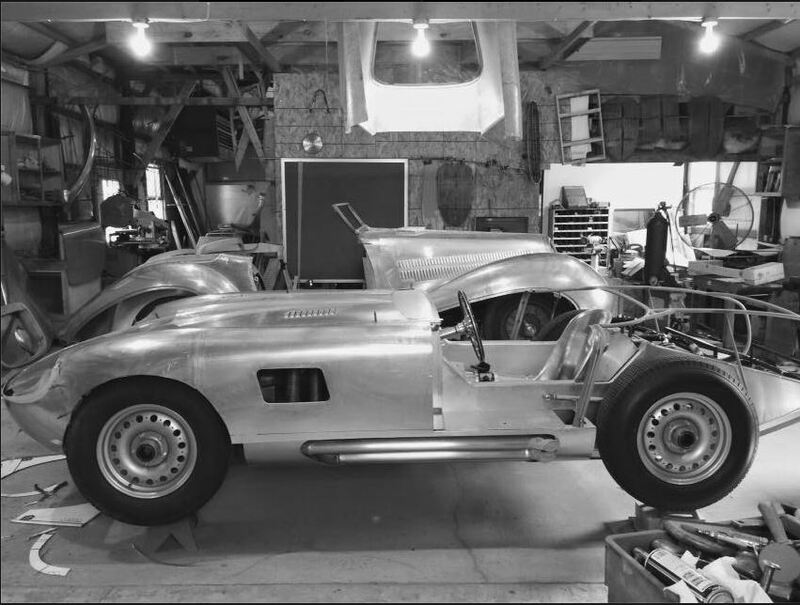 He never finished the body, as he was then into the mid-1959 and was working on a new mid-engine design, later driven by Stirling Moss. 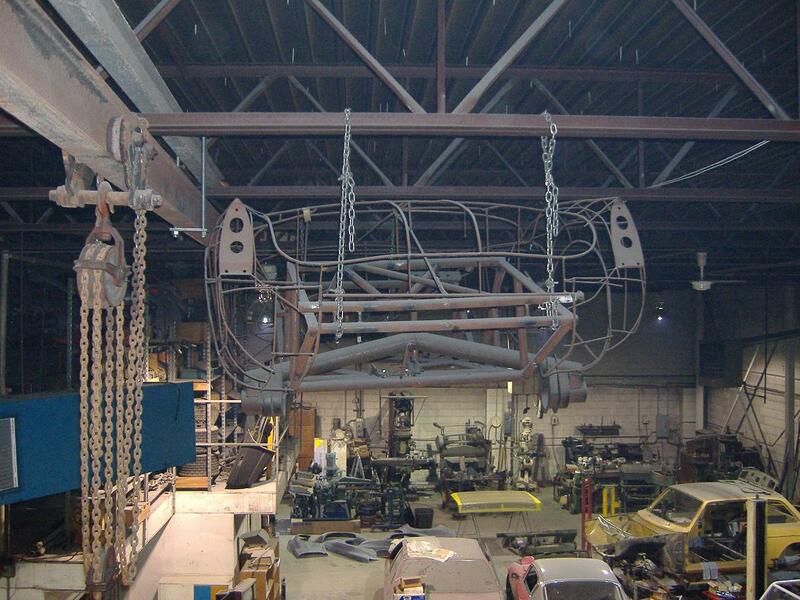 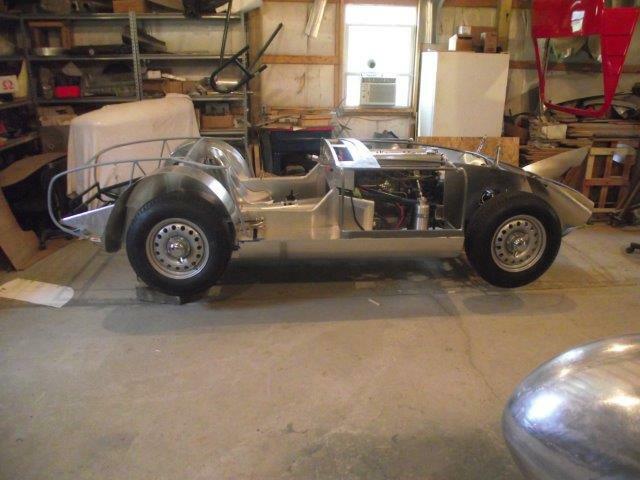 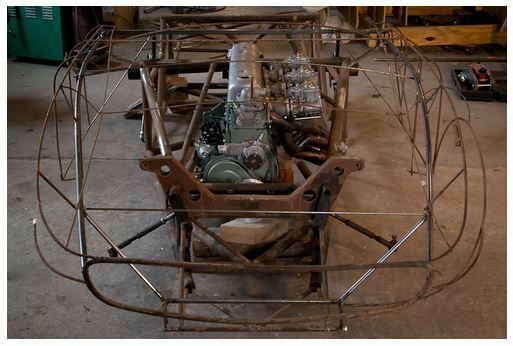 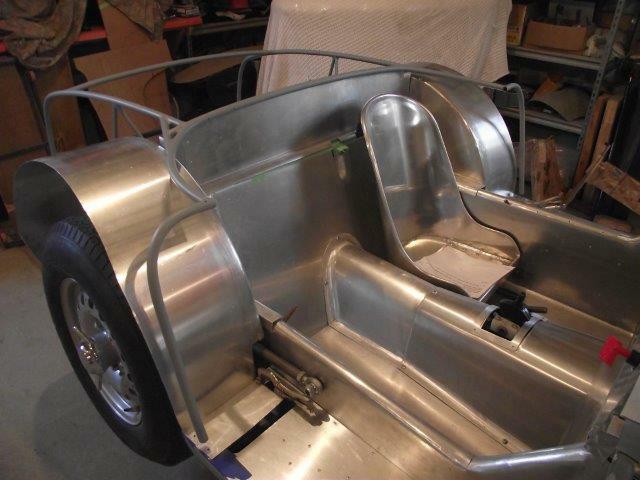 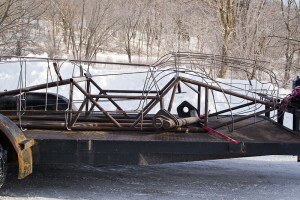 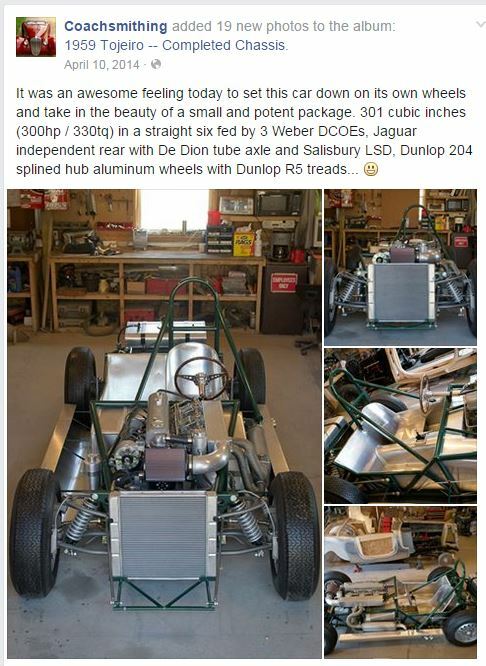 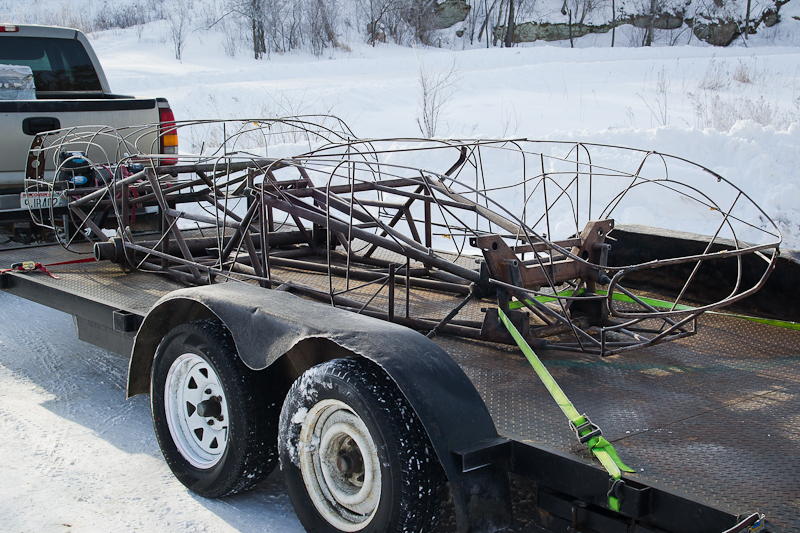 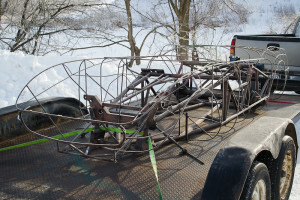 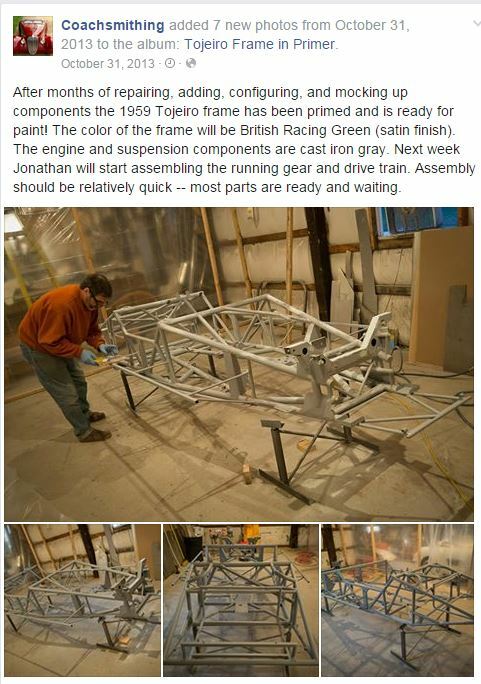 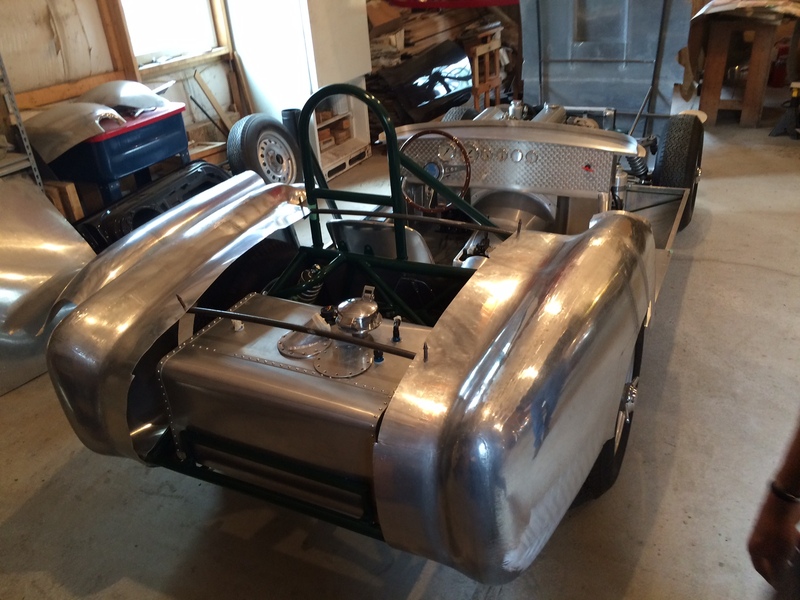 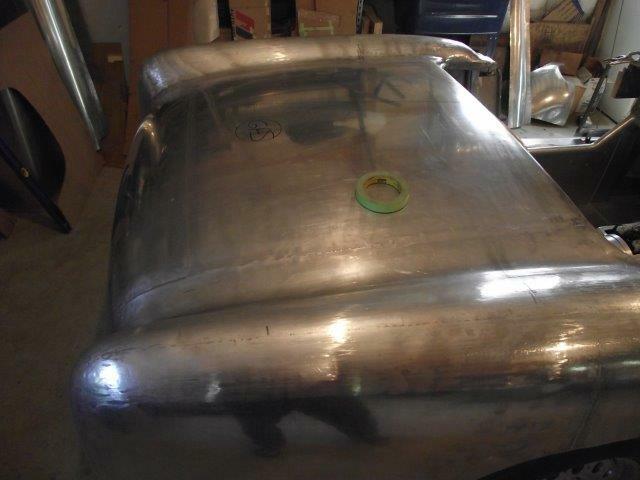 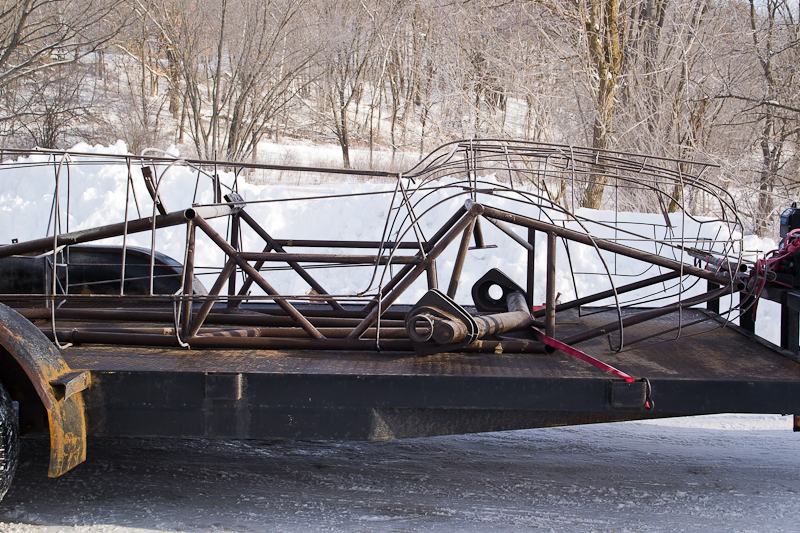 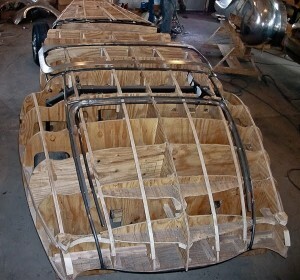 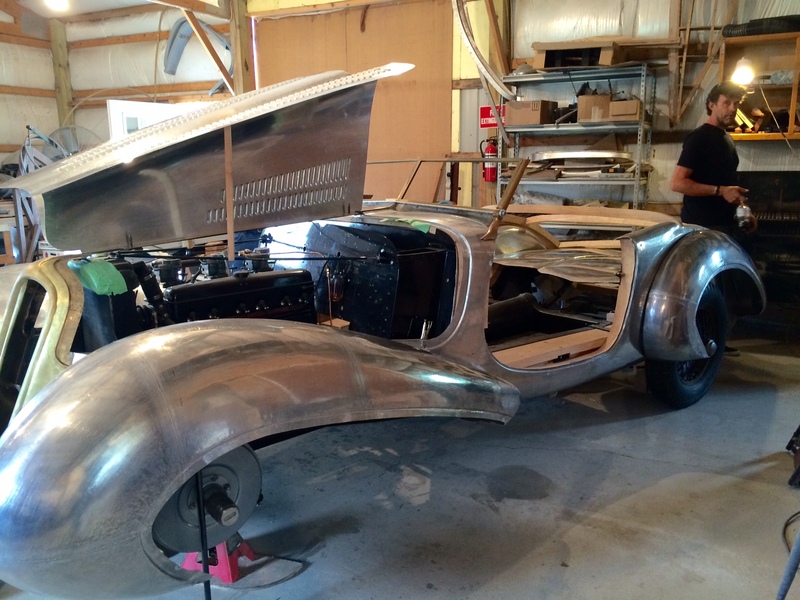 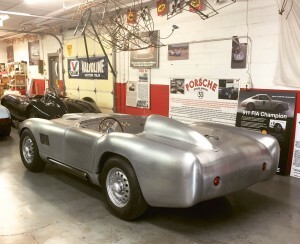 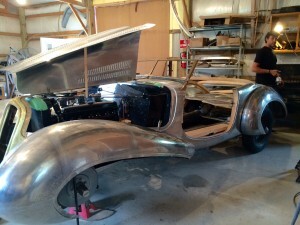 The beautiful complete chassis wire frame with suspension components sat in the back of John’s shop until it was acquired by Gilbert Dickson, who managed the Tojeiro Registry. 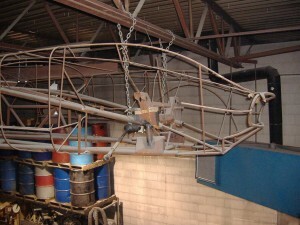 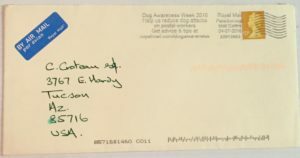 Gilbert planned on completing the project, but work and other projects prevented it. 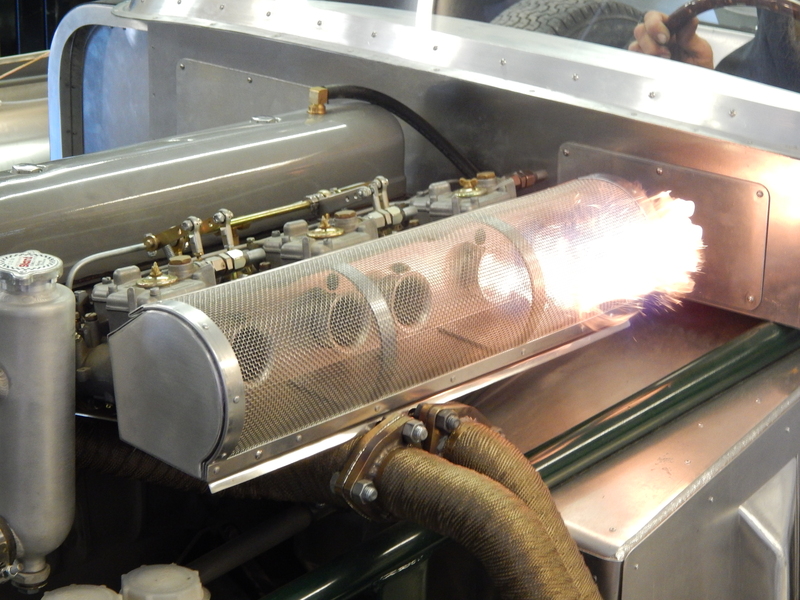 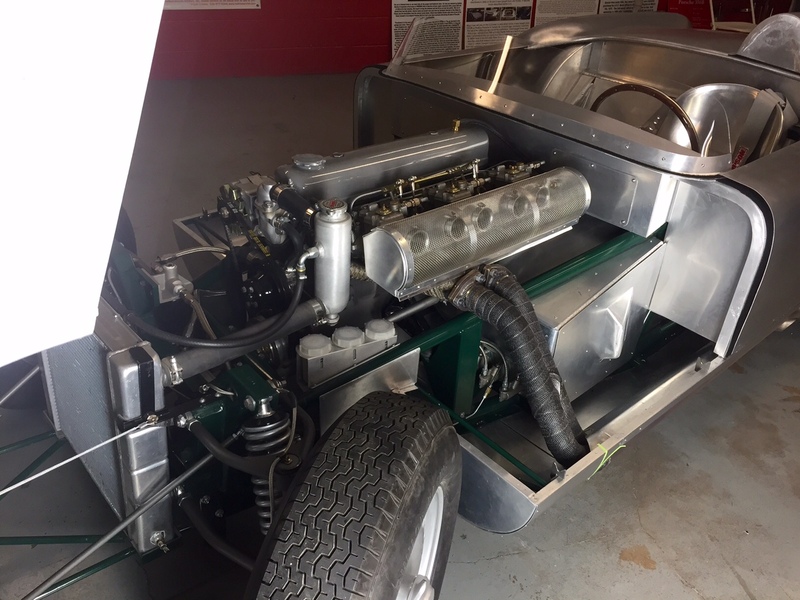 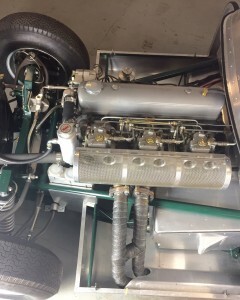 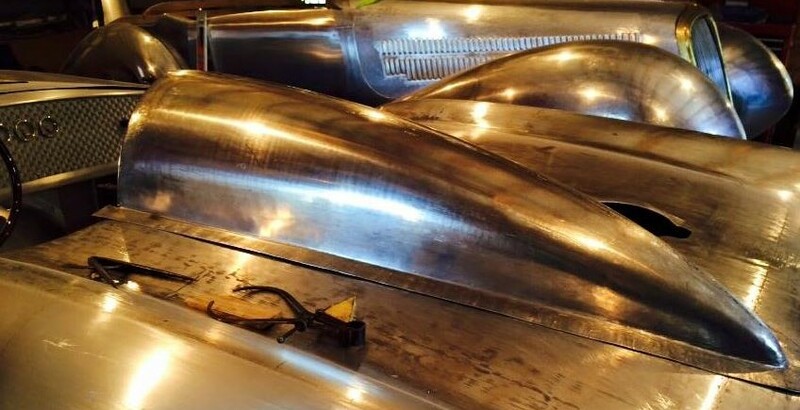 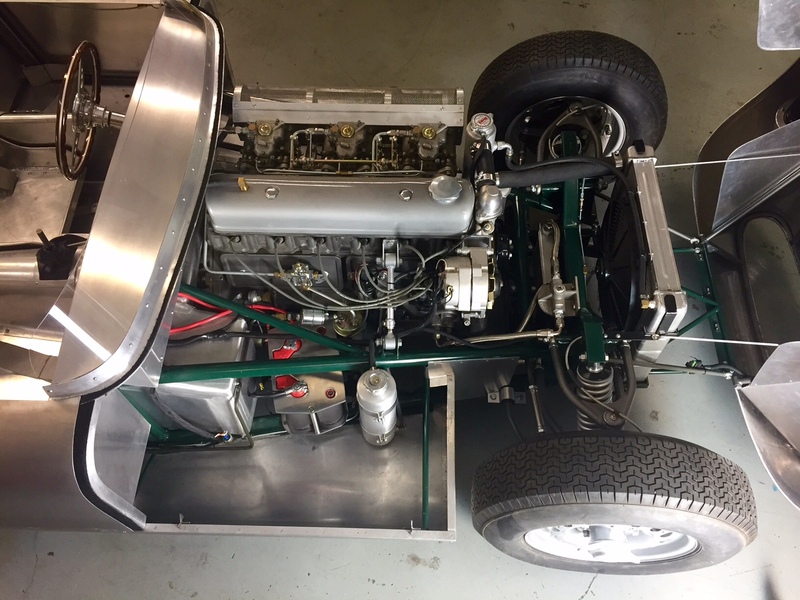 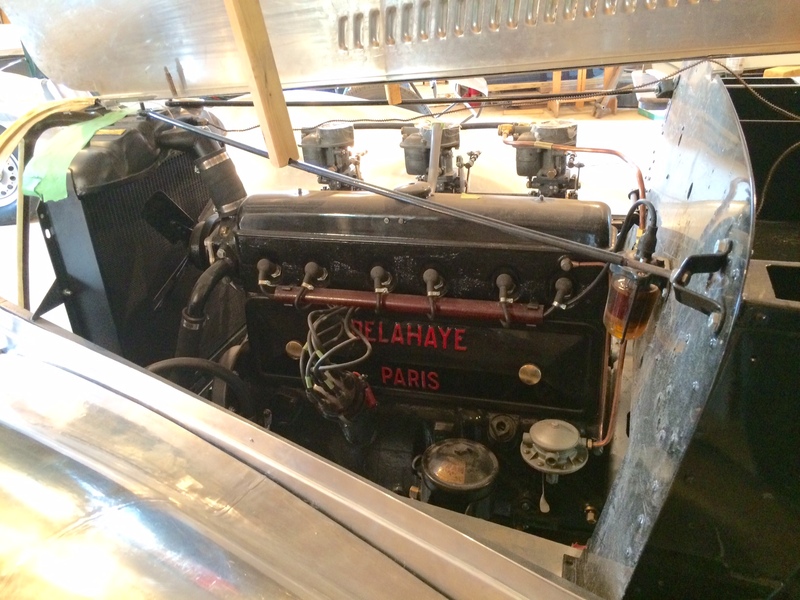 On a trip to England the current owner visited Gilbert in Surrey, England he wanted to research a Tojeiro Climax and was shown this, the last front engine design of John Tojeiro, Vin number TCAL 59 purchased directly from Gilbert Dickson. 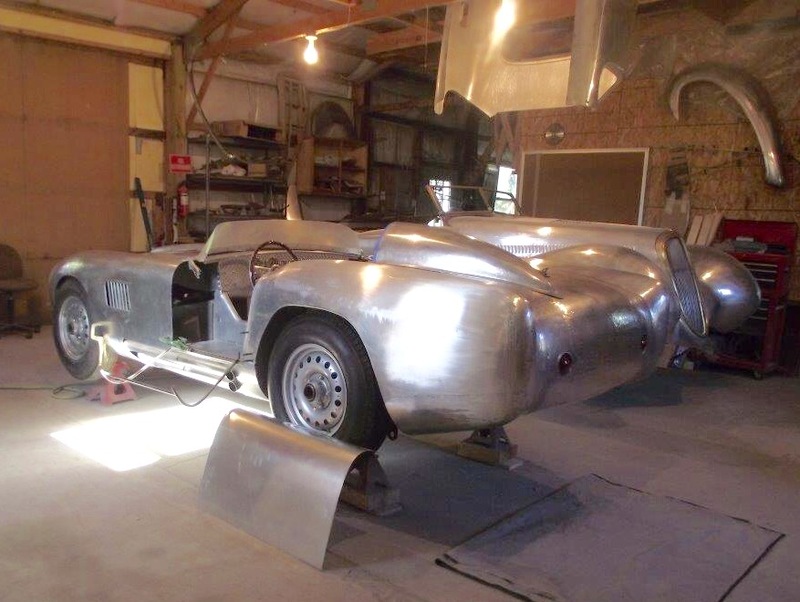 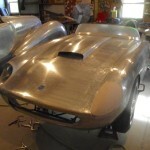 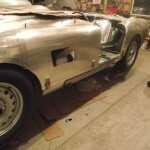 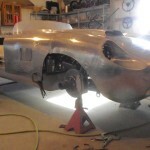 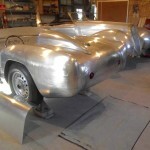 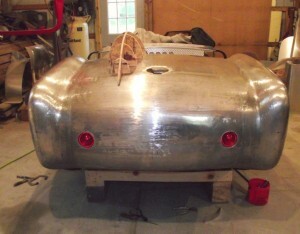 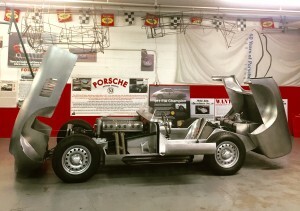 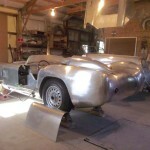 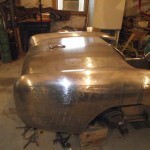 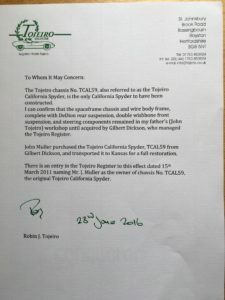 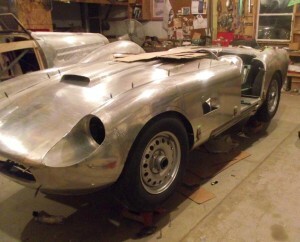 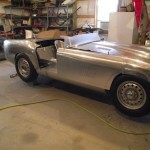 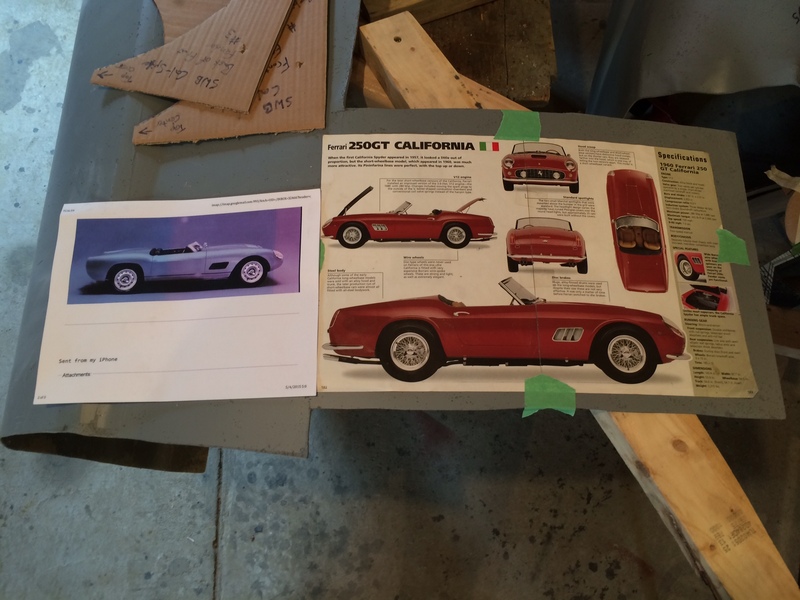 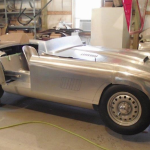 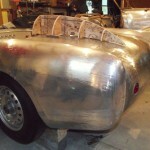 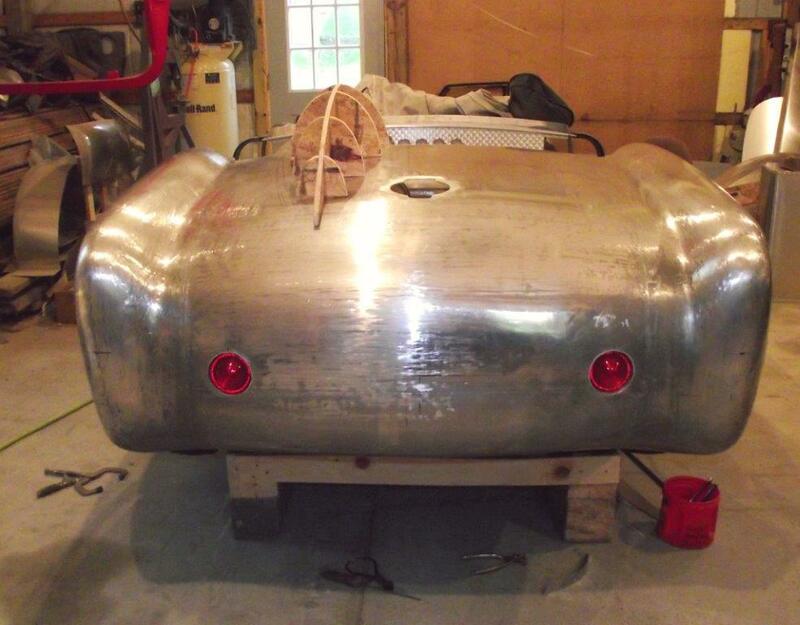 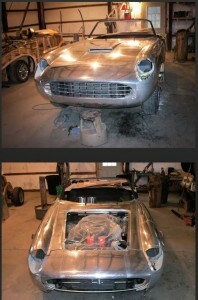 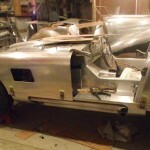 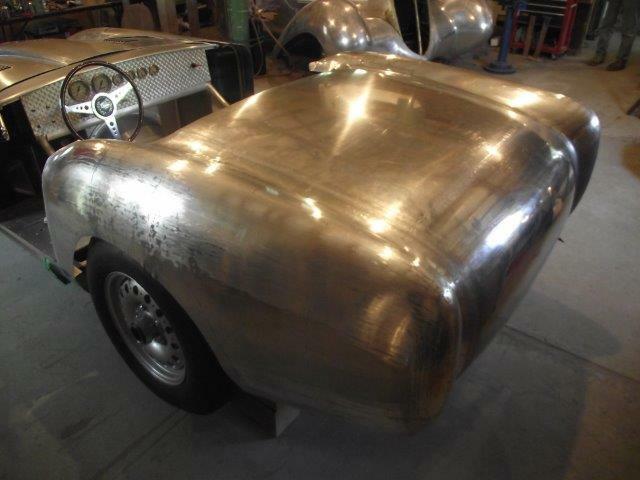 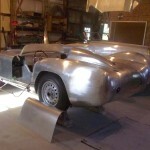 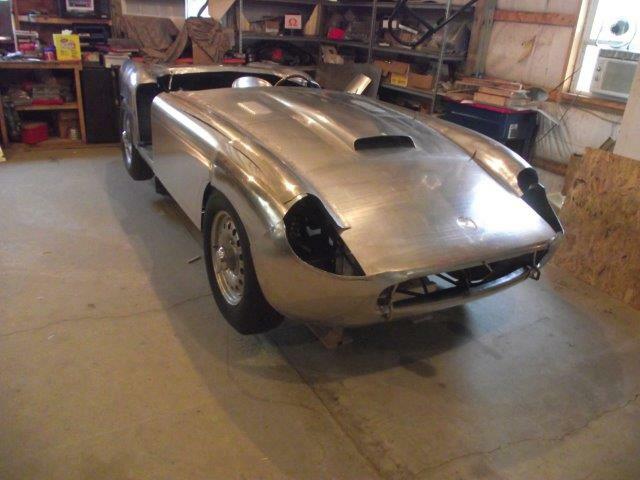 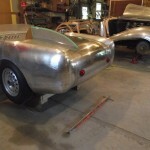 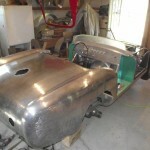 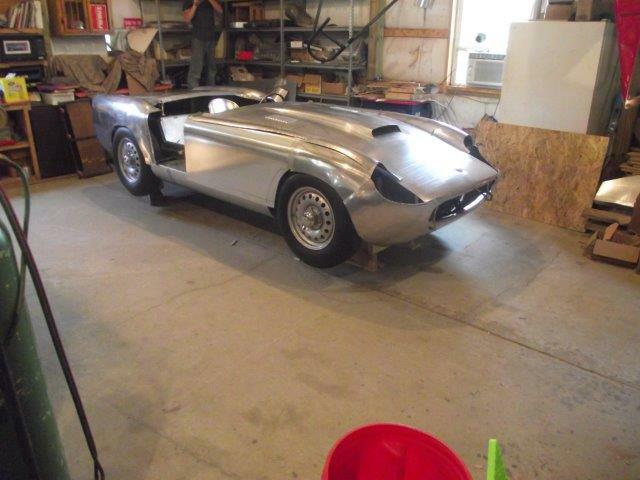 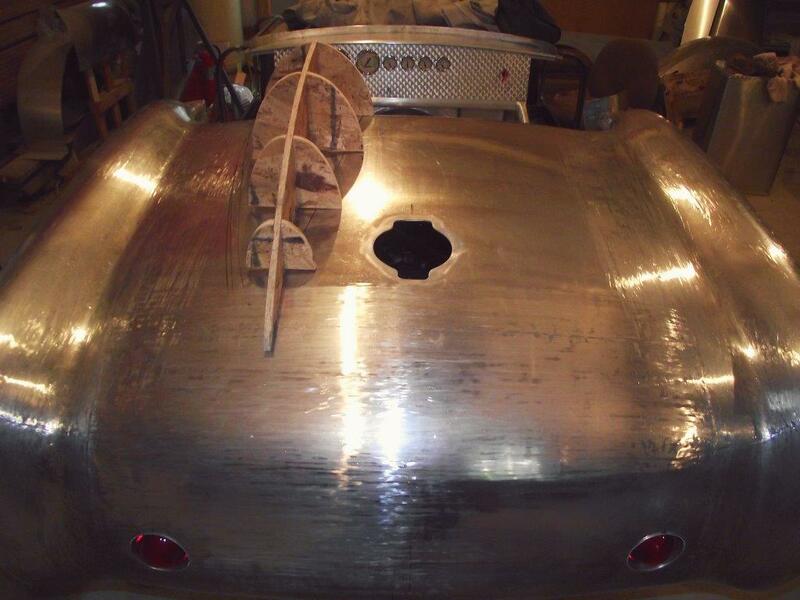 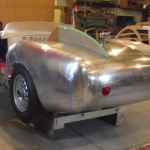 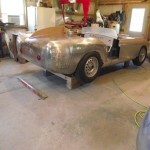 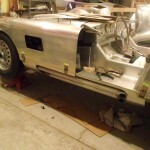 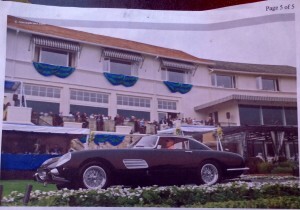 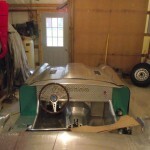 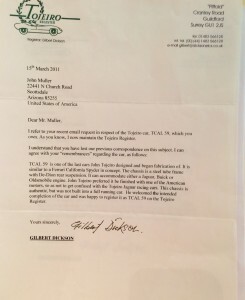 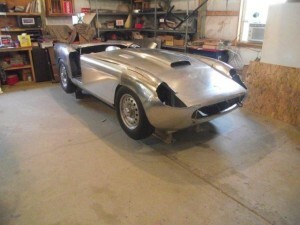 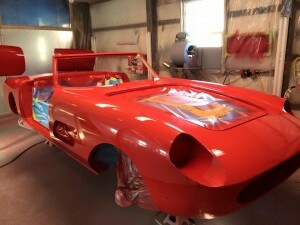 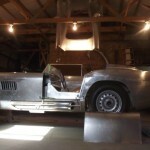 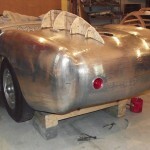 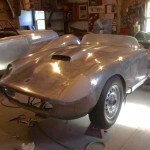 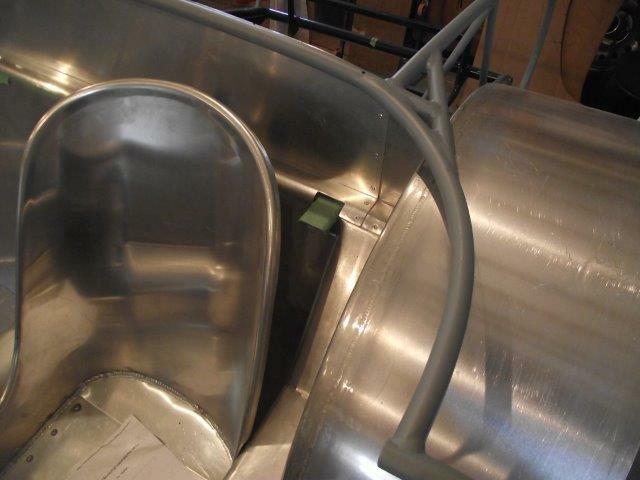 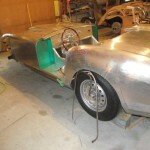 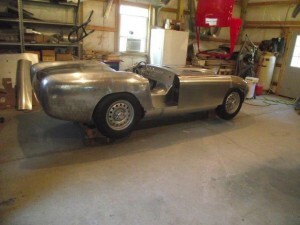 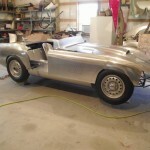 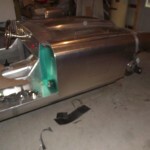 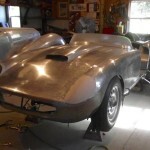 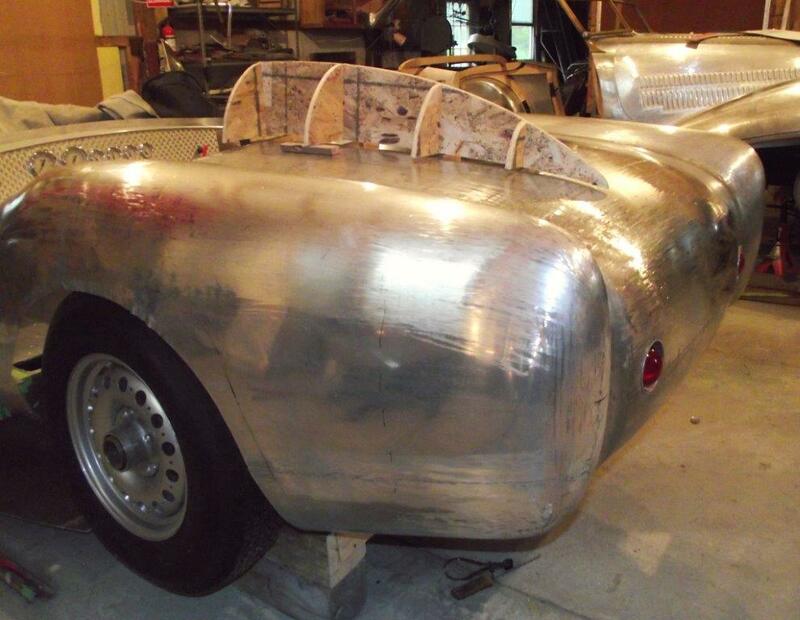 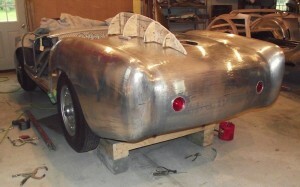 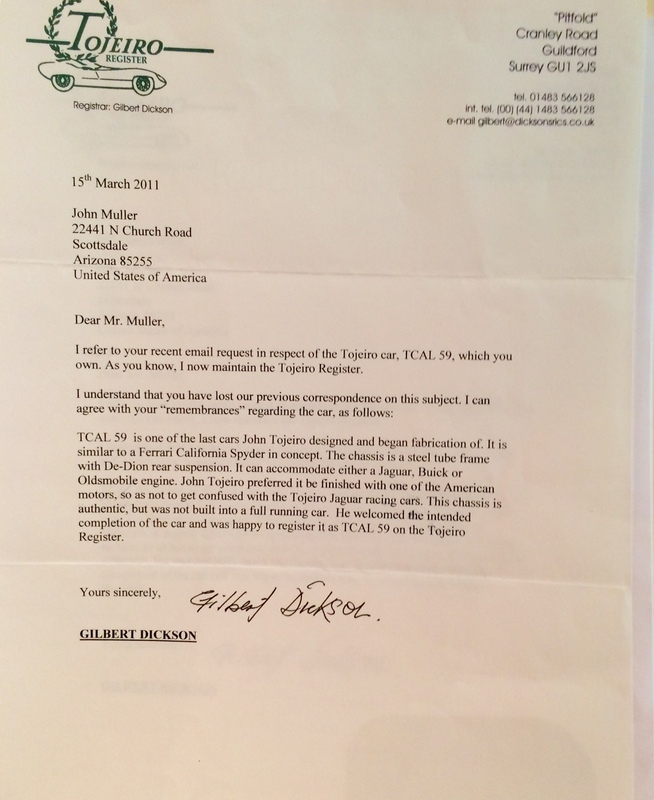 The Tojeiro California Spyder was crated and sent across the Atlantic. Eventually it was to be completed as John Tojeiro and Cavendish Morton designed it in 1959, incorporating all the original components preserved on the chassis. 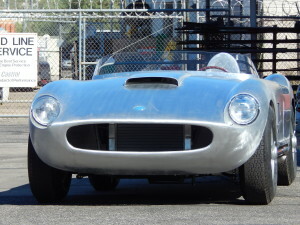 John Tojeiro recommended that this car sport an American motor so as not to confuse it with the other Tojeiro Jaguars with the same chassis configuration. 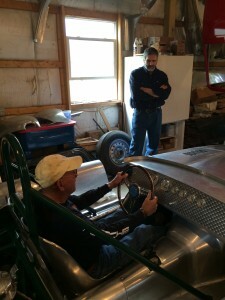 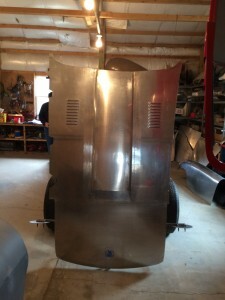 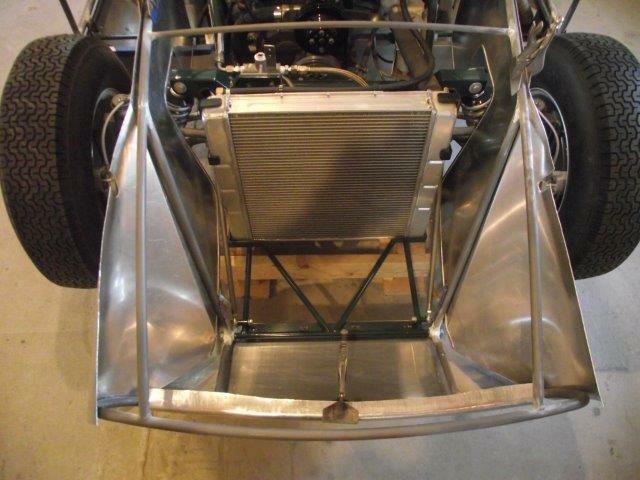 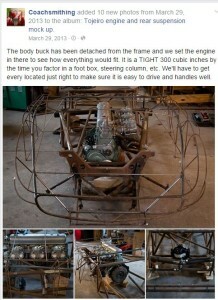 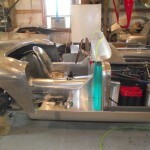 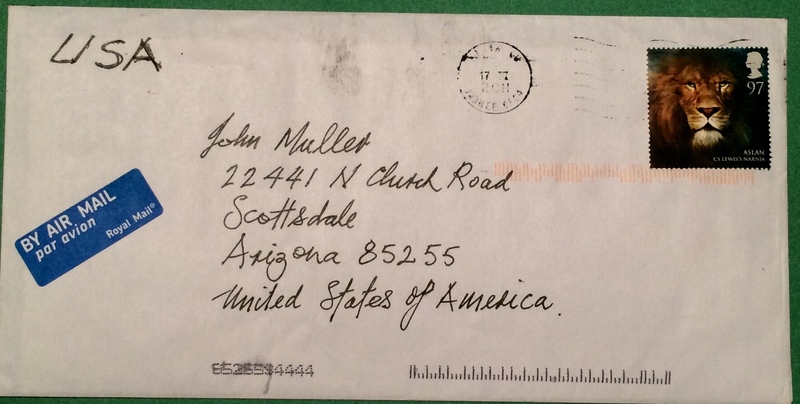 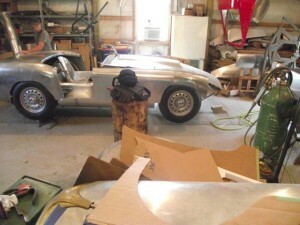 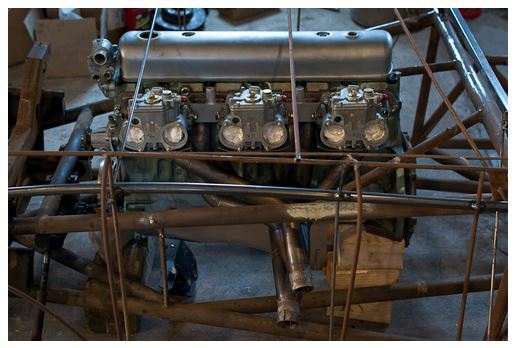 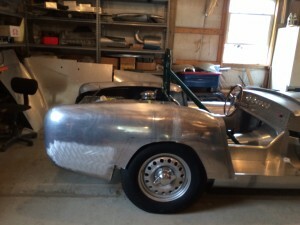 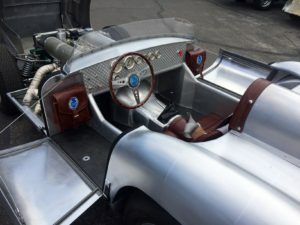 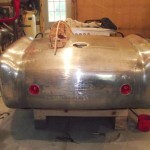 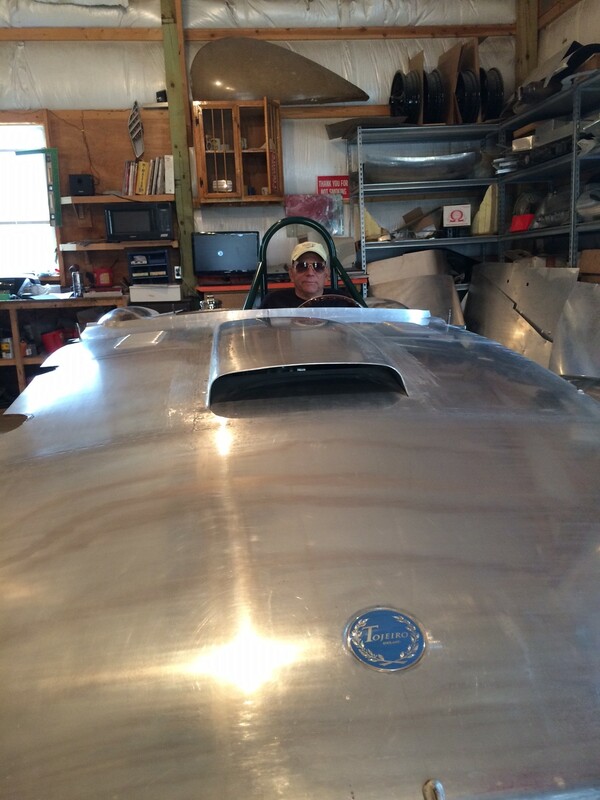 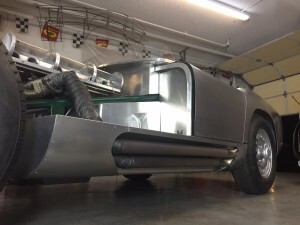 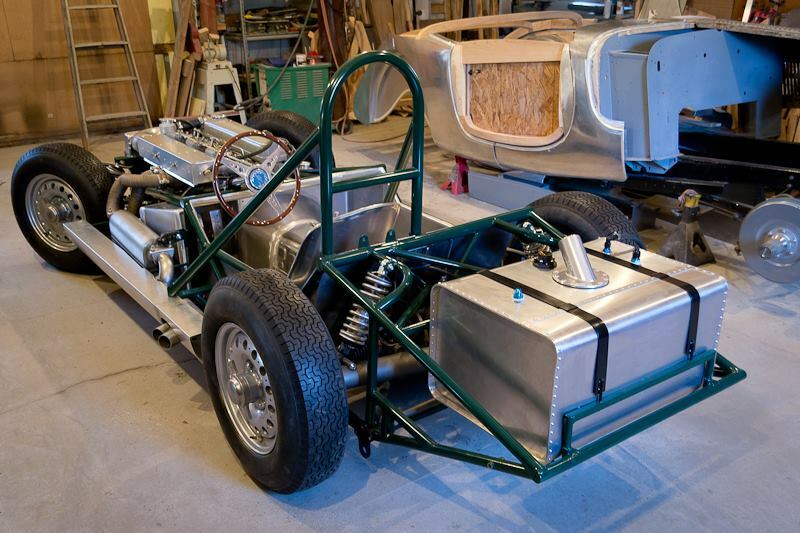 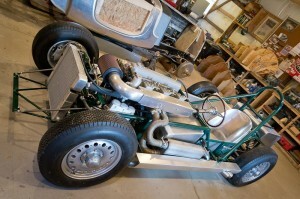 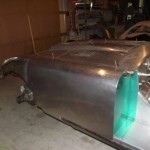 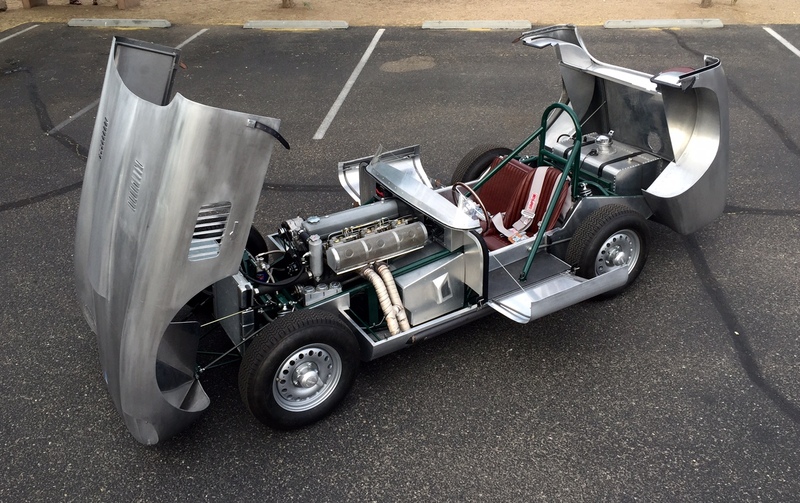 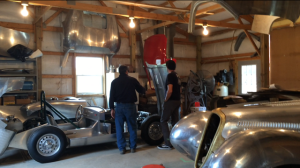 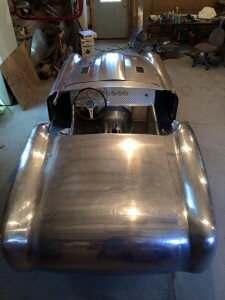 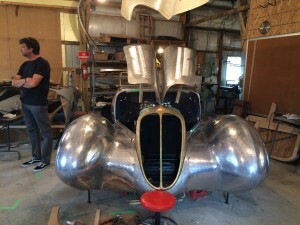 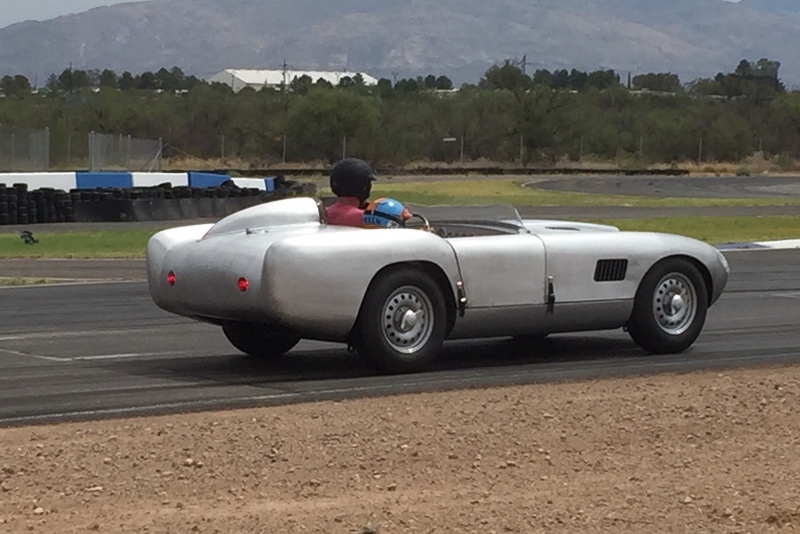 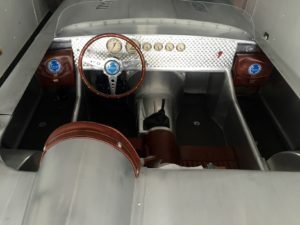 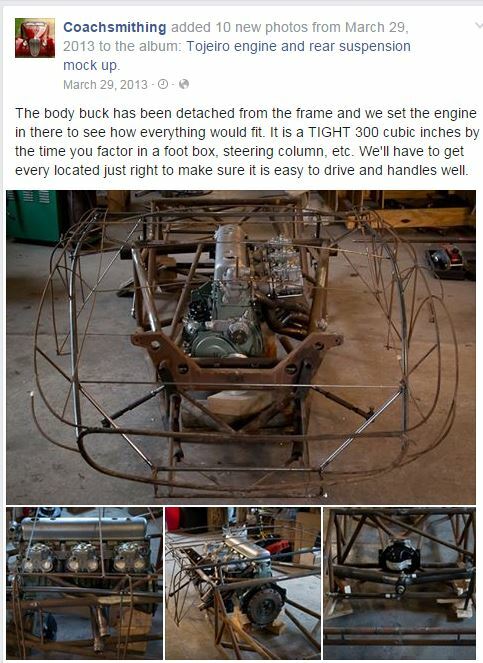 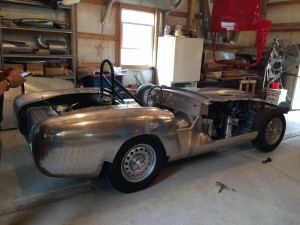 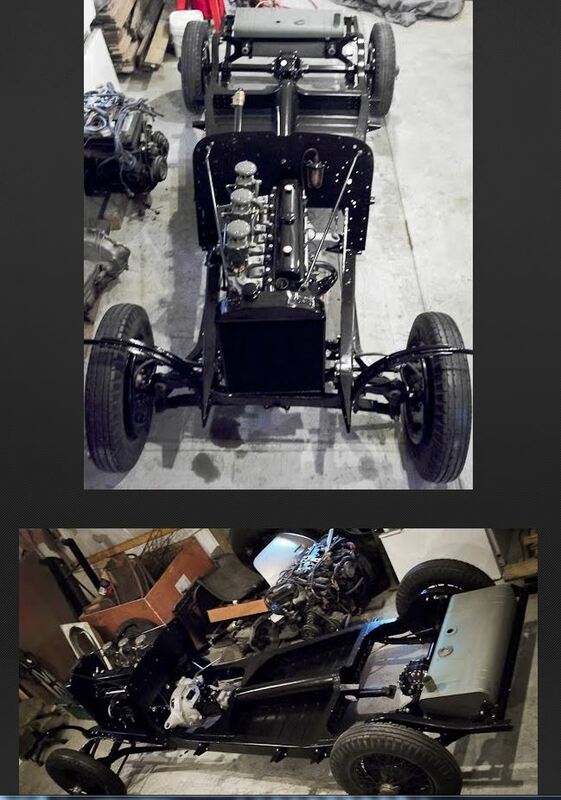 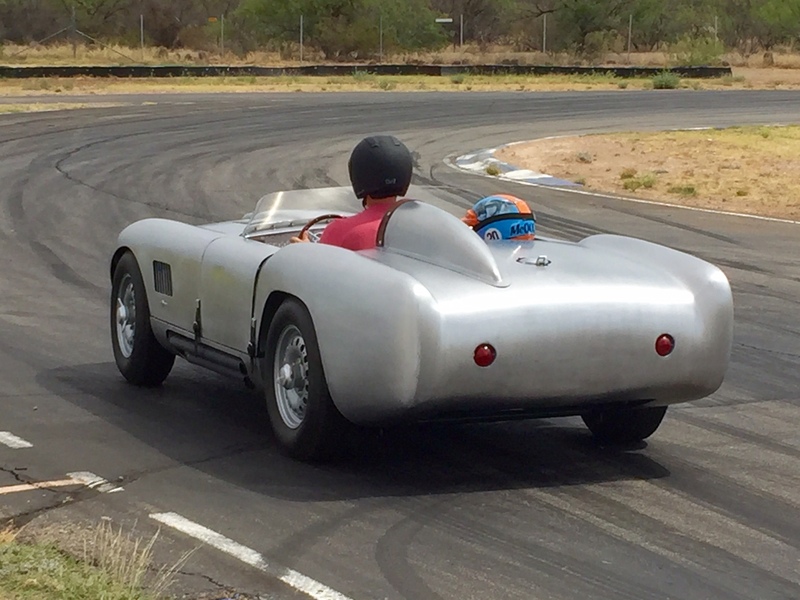 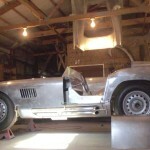 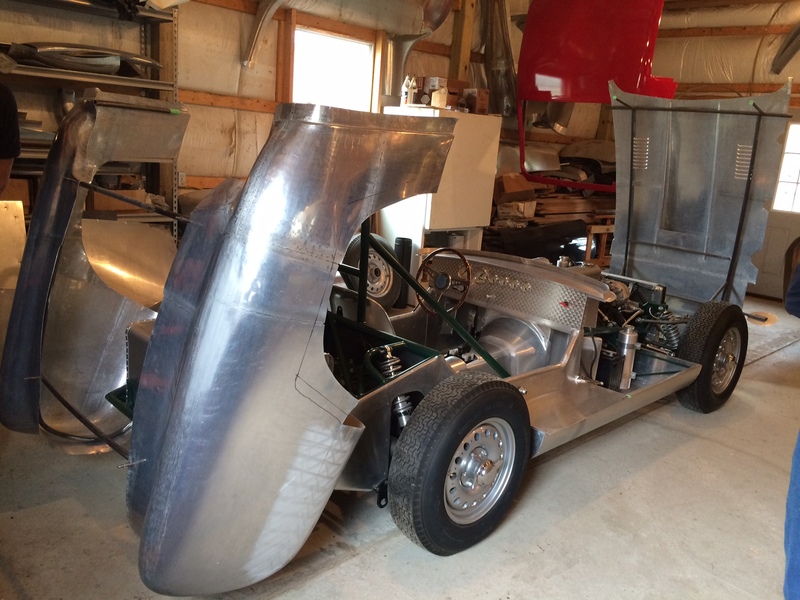 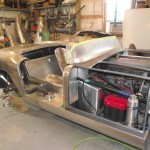 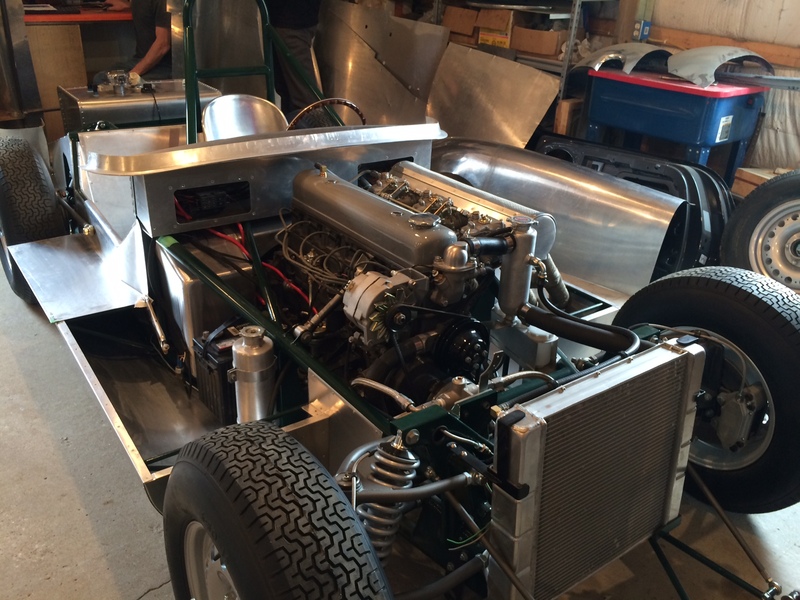 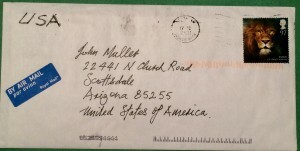 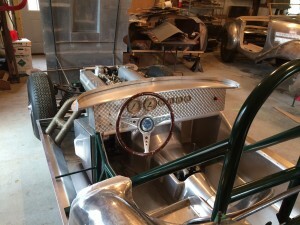 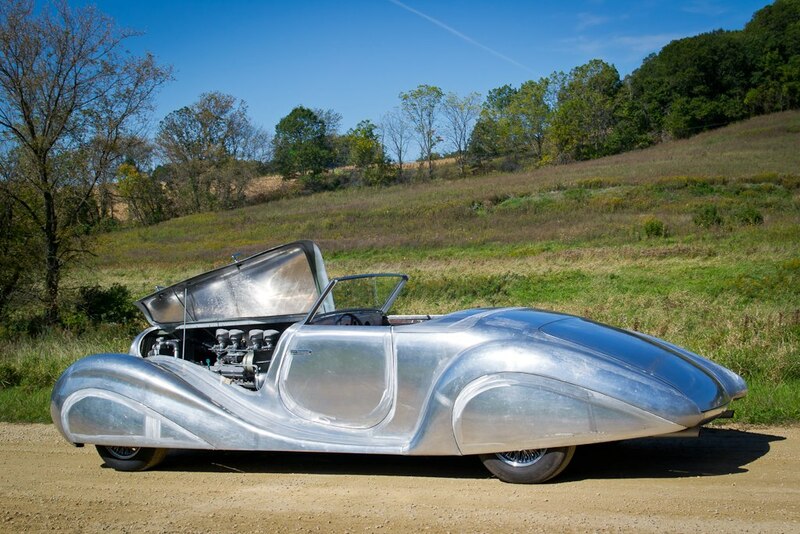 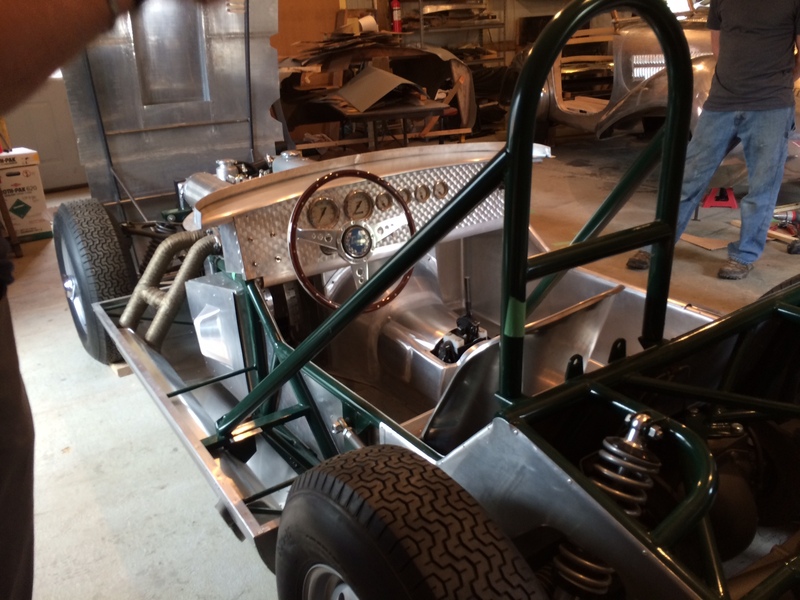 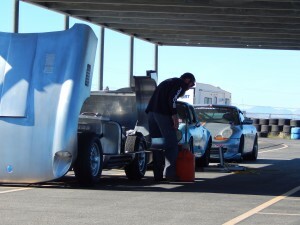 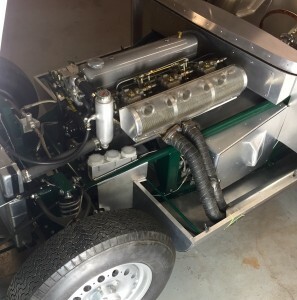 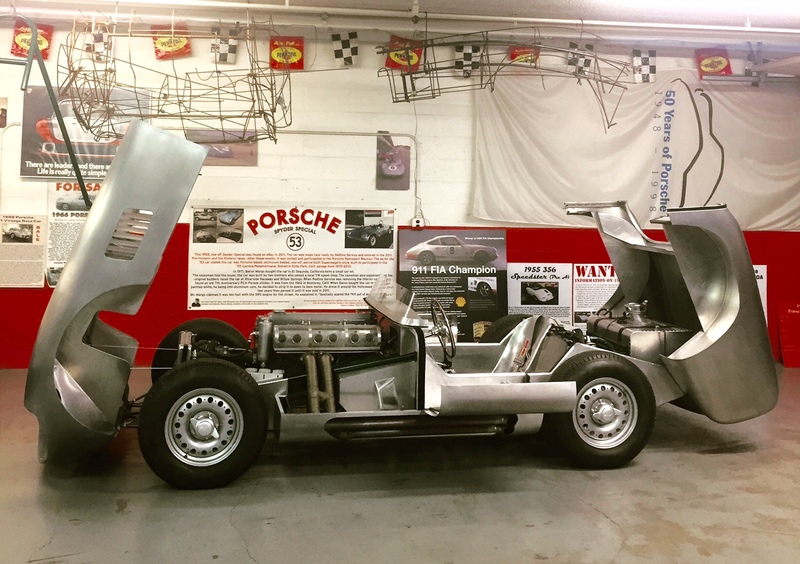 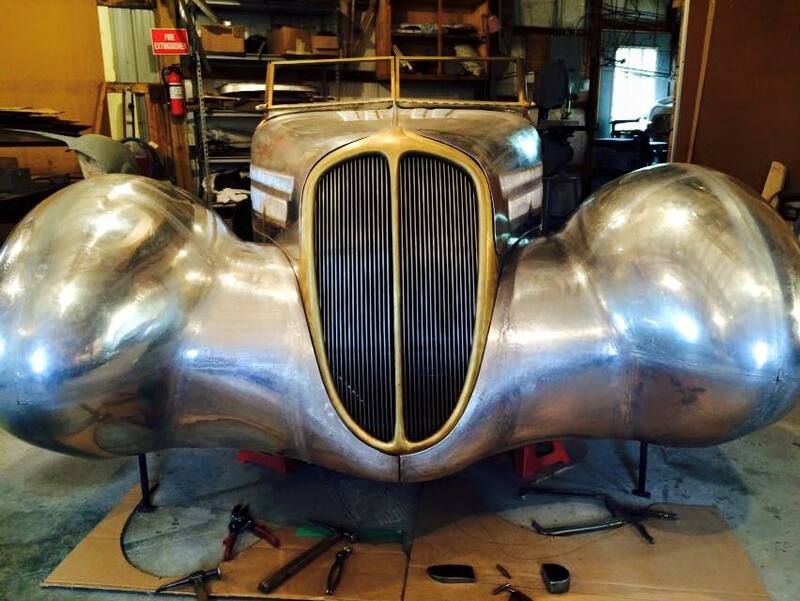 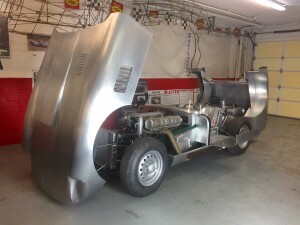 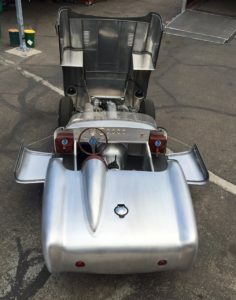 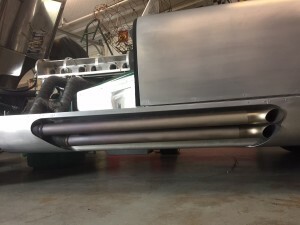 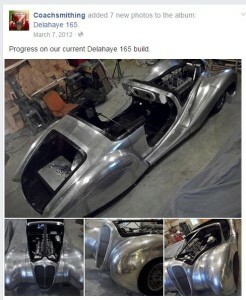 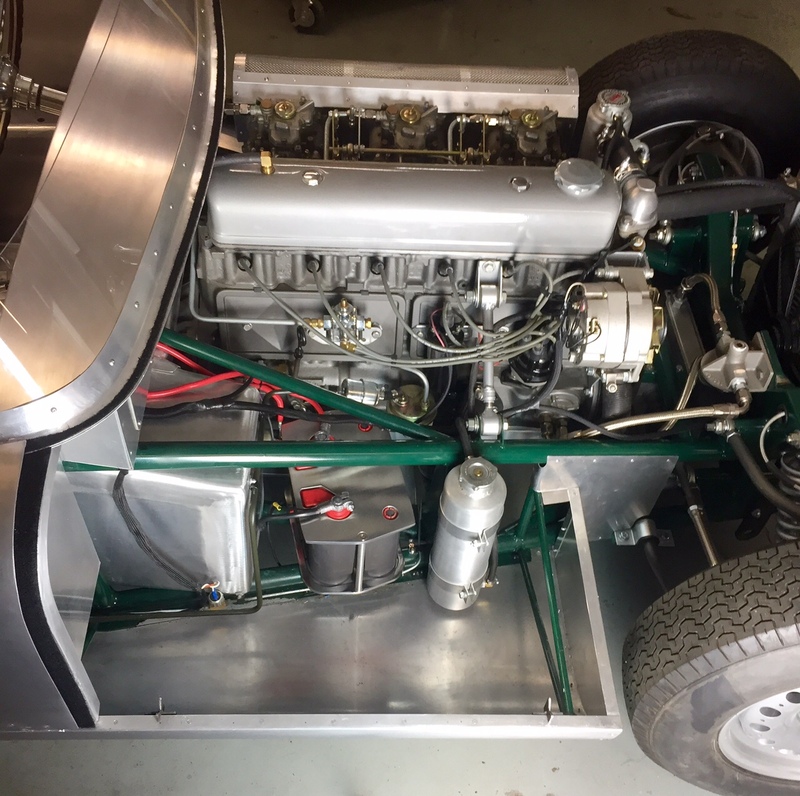 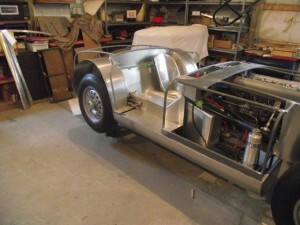 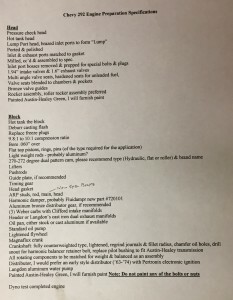 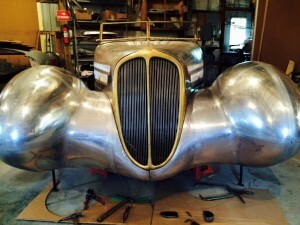 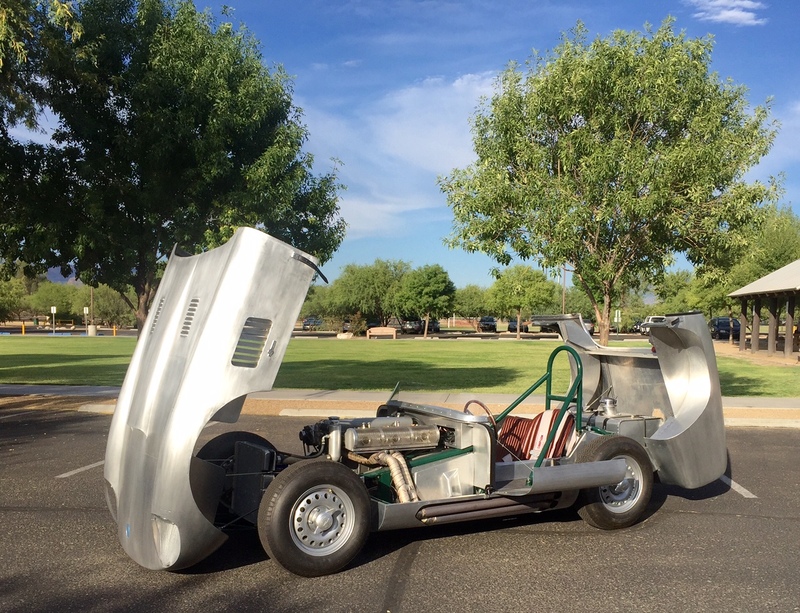 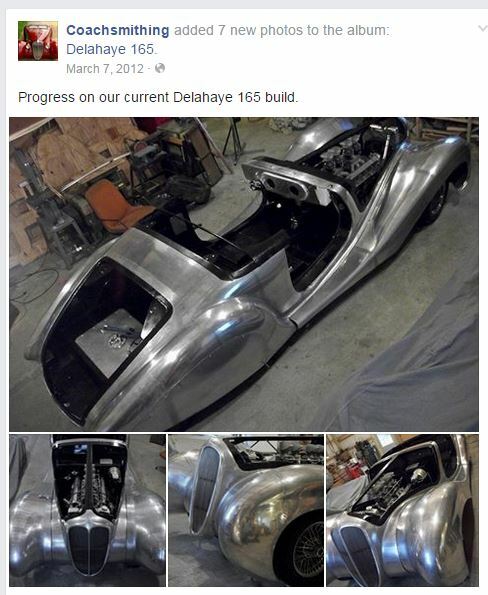 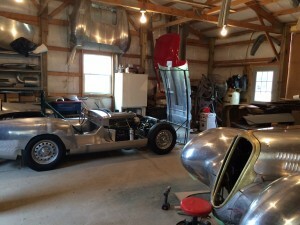 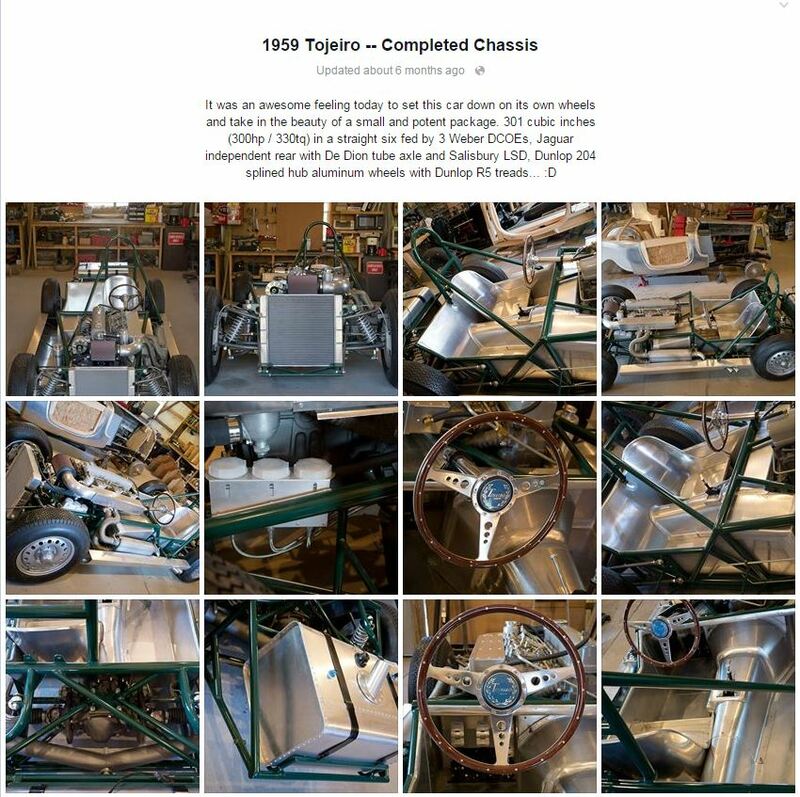 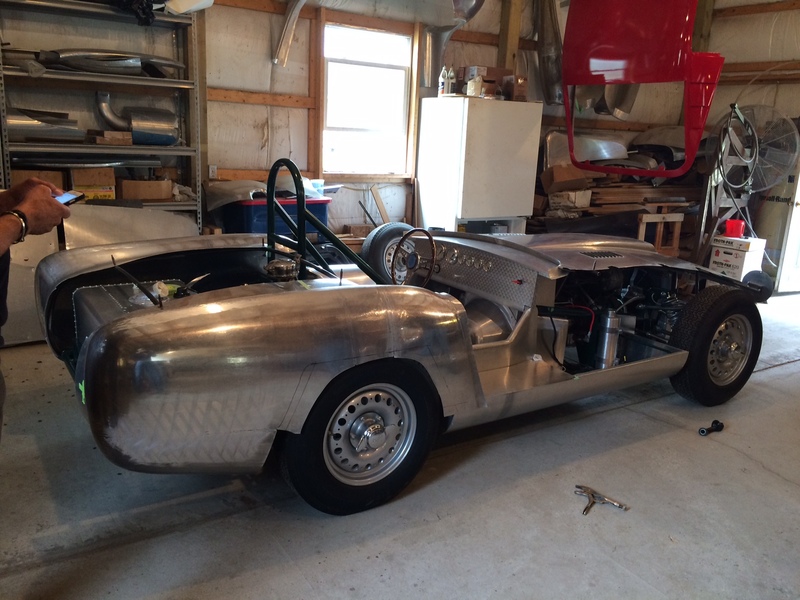 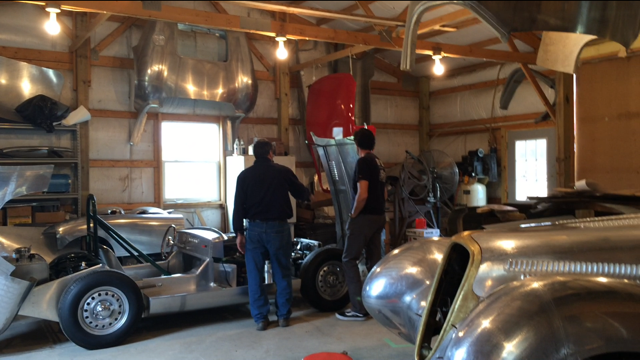 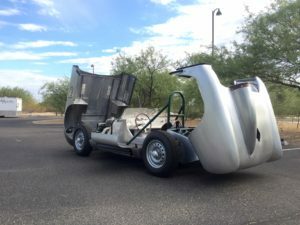 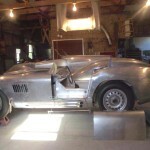 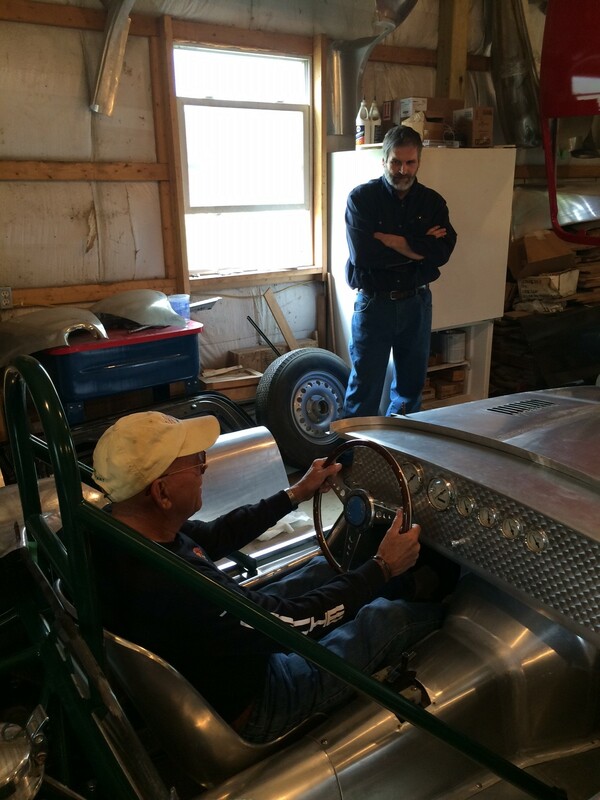 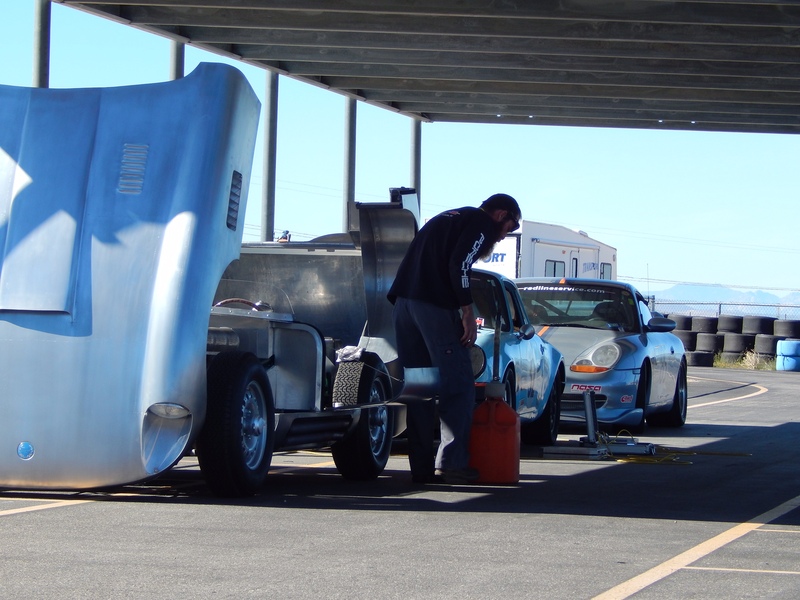 The car runs a vintage six-cylinder GMC motor with triple carburetors and an overhead valve, linked to a four speed transmission, housed in John’s beautiful tube frame and connected to a deDion rear axle. 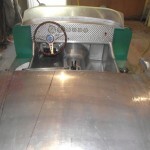 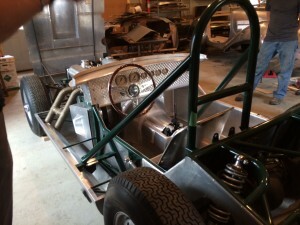 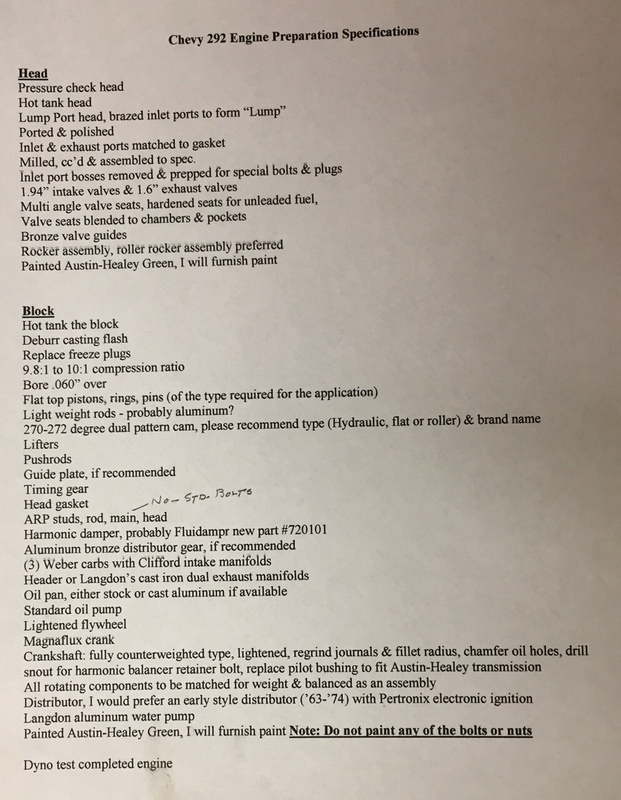 Smith style gauges, wood steering wheel, Dunlap alloy wheels and correct racing tires complete the package.